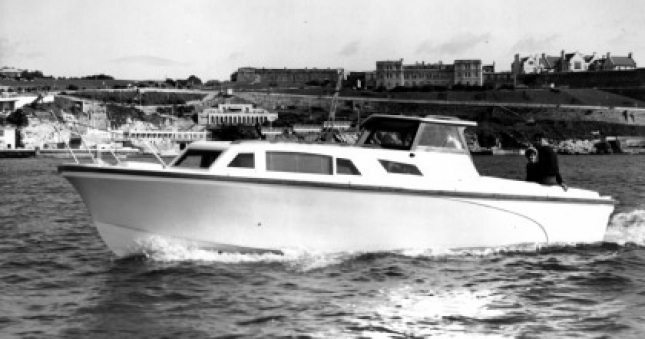 A small industrial unit in Newport Street, Plymouth was the birthplace of Princess Yachts almost fifty years ago in 1965. 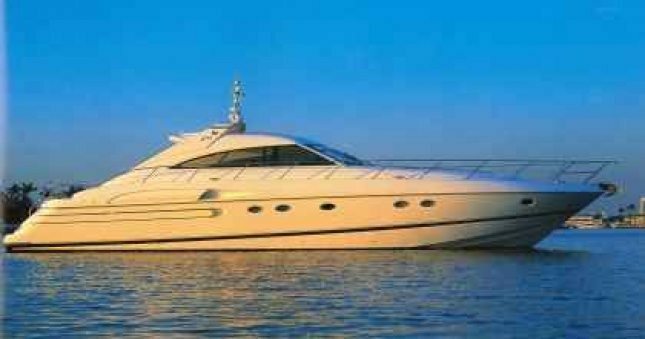 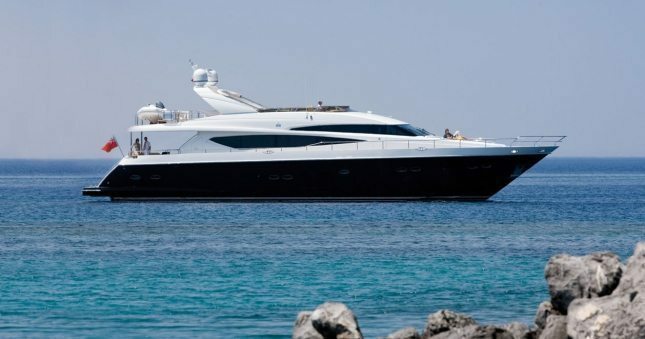 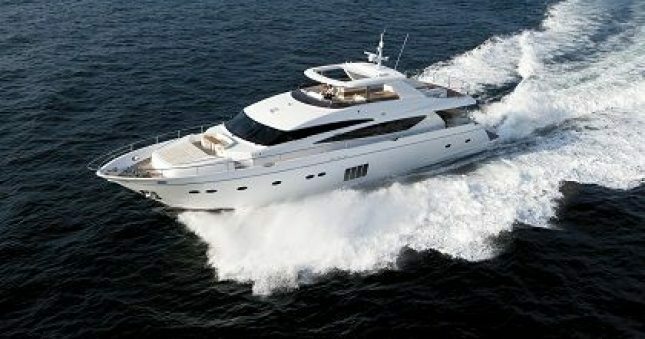 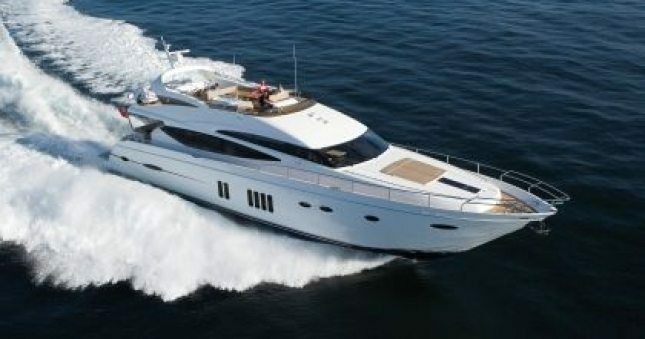 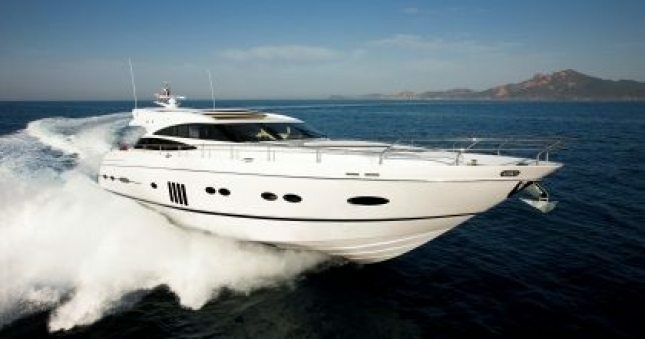 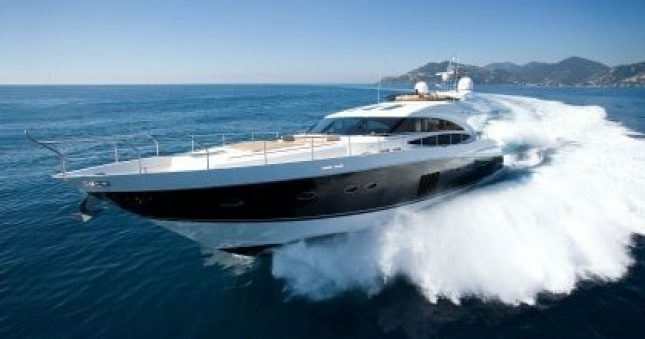 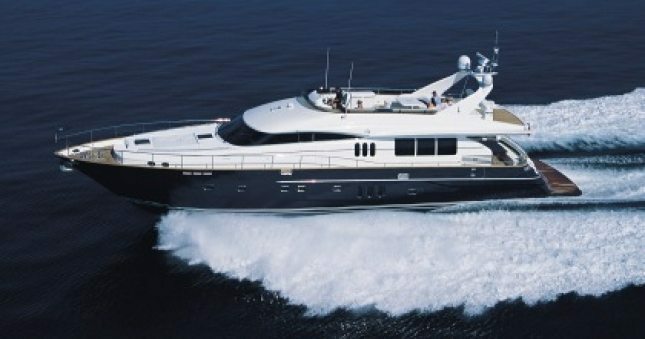 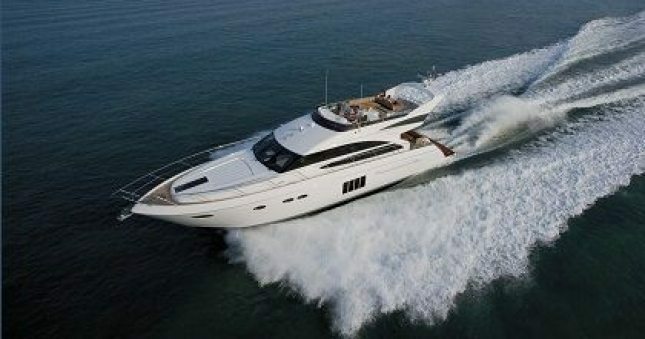 Since then, Princess has developed into one of the most successful and sophisticated motor yacht builders in the world. 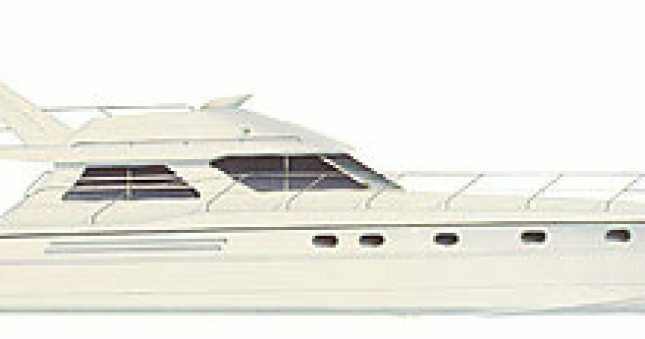 Below you will see a timeline of how these magnificent models have developed over the years. 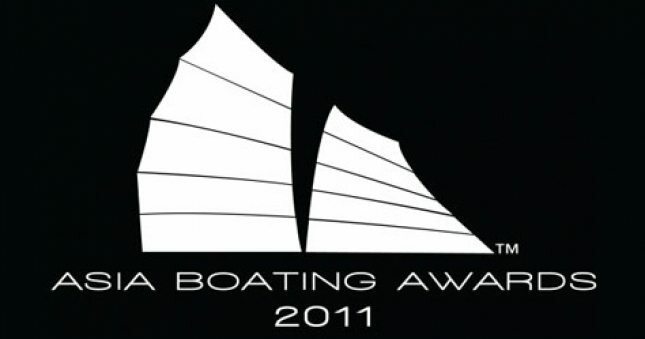 The annual Asia Boating Awards are the most renowned yachting awards in Asia and across the world. 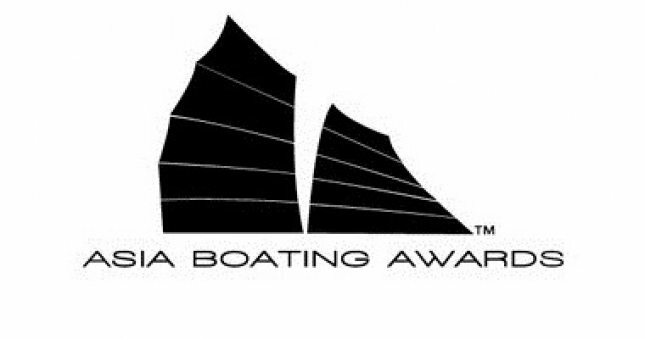 The awards serve as a benchmark for the industry in the Asia-Pacific region. 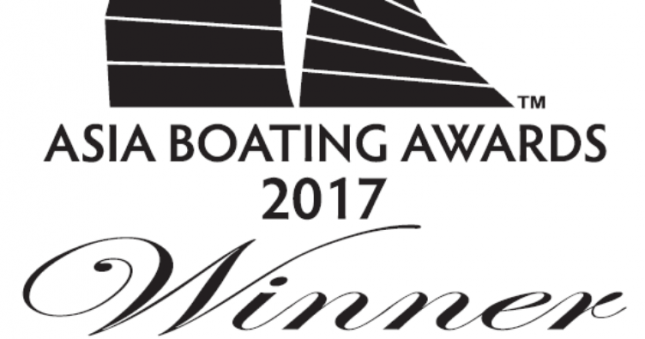 V40 was named as the Best Sports cruiser (up to 45ft) at the Asia Boating Awards 2017 in Singapore. 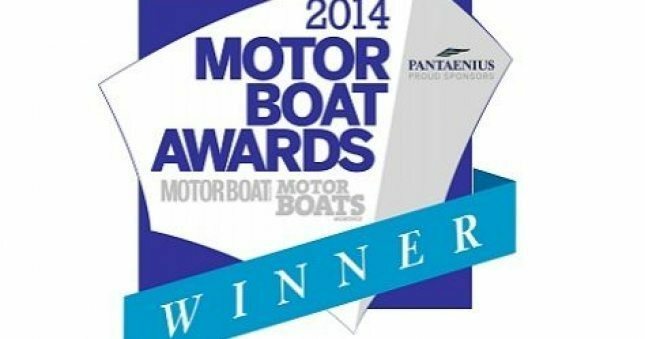 The Princess V58 Open received the award in the category for “Sportscruisers over 45ft”, for “delivering a truly intoxicating mix of style, sophistication and speed, with a party boat deck layout.” Stylish and powerful, the Princess V58 Open was first launched at the Southampton Boat Show in 2015. 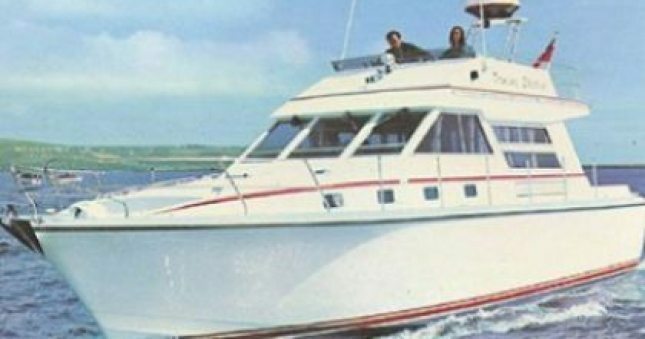 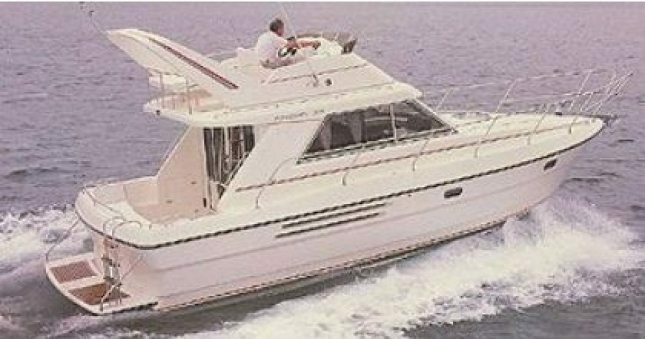 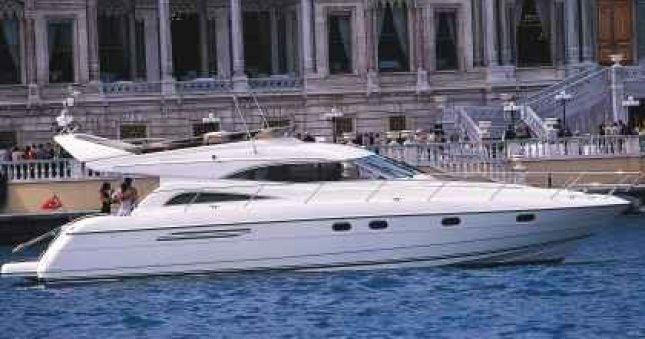 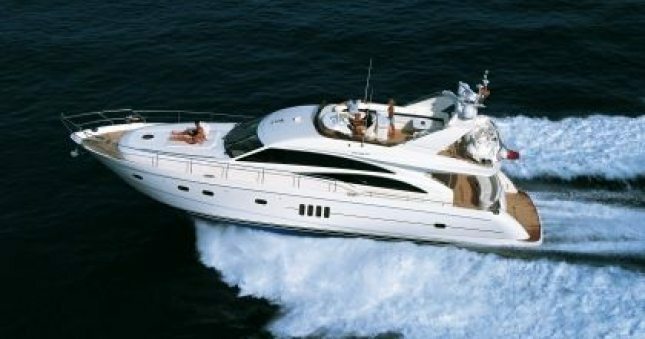 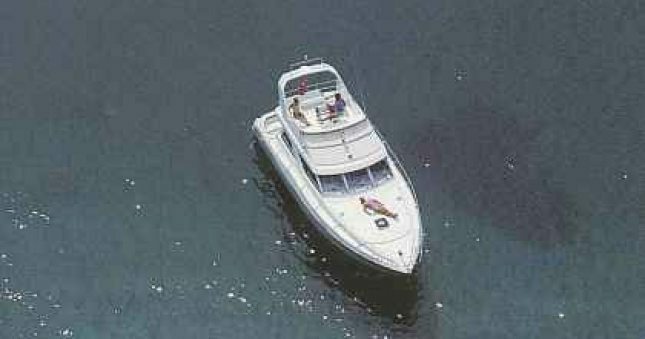 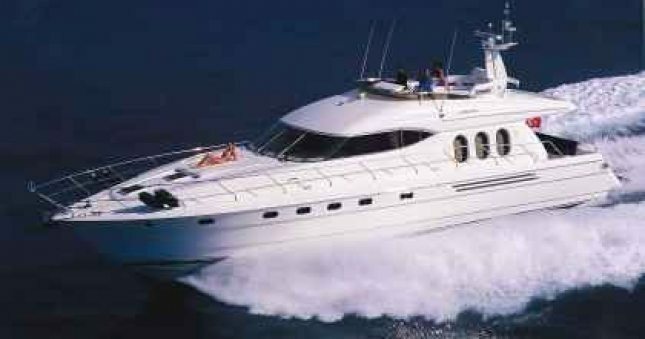 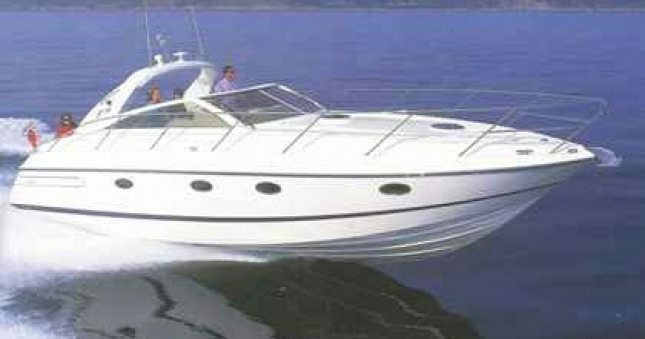 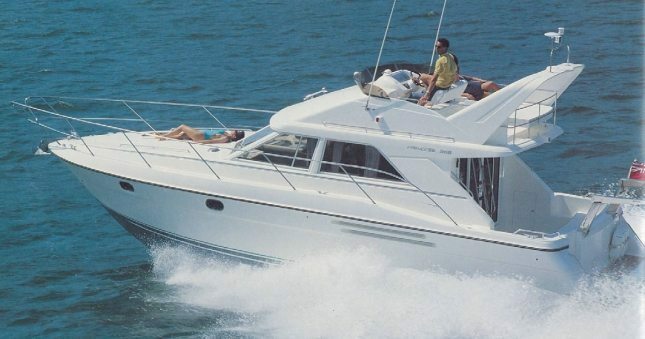 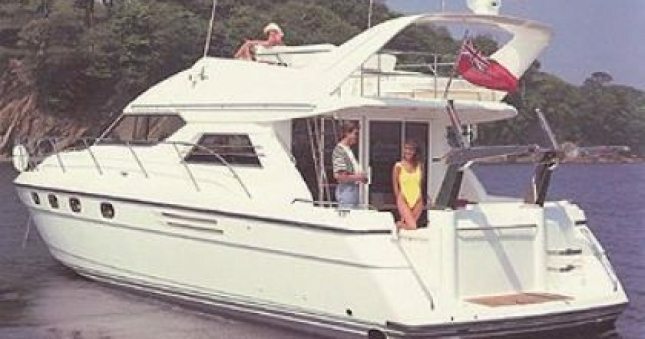 Described as a “boat that doesn’t put a foot wrong in any department, with a genuinely entertaining driving experience and a top speed of 35 knots”, the Princess 75 Motor Yacht came top in the category for “Flybridges over 55ft”. 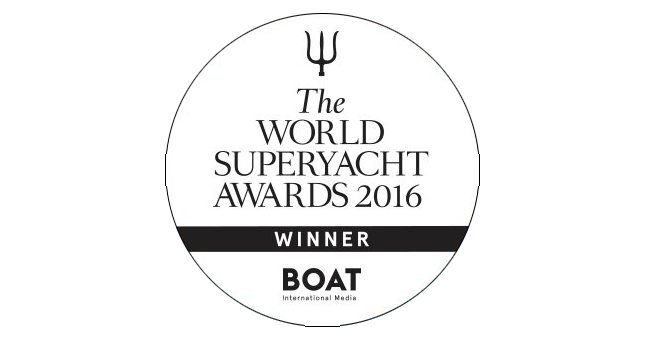 The prestigious prize was presented to Chris Gates, Managing Director of Princess Yachts International, at the Awards dinner, held in London on 9th January 2017. 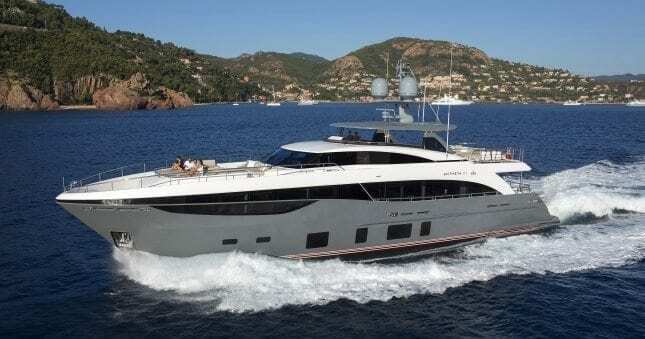 The first Princess 35M, Antheya III, has claimed the top prize at Boat International’s World Superyacht Awards in the Semi-Displacement & Planing Two Deck Motor Yacht category. 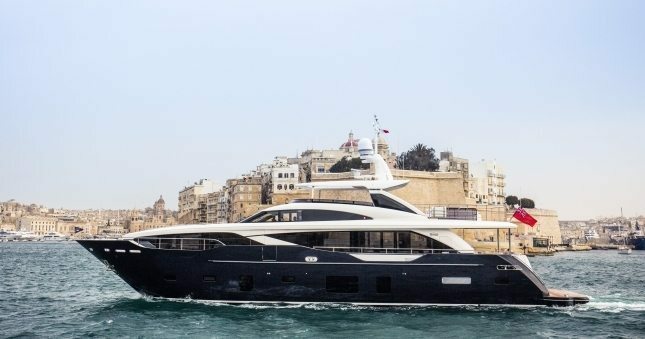 Boat International said: “The judges particularly admired her exterior design, which incorporated a variety of functional areas in which to relax and dine, as well as her contemporary yet ageless interior. 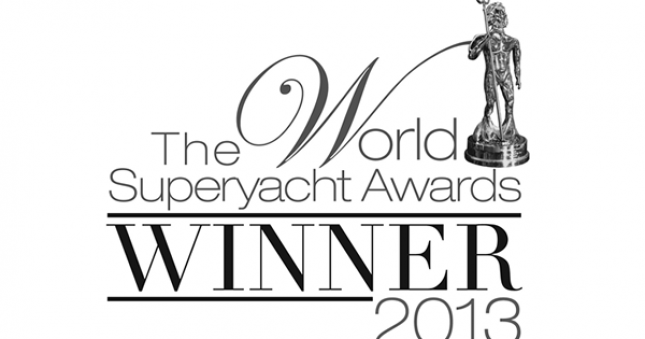 Additionally, the judges found a high quality of construction and excellent technical, service and crew areas. 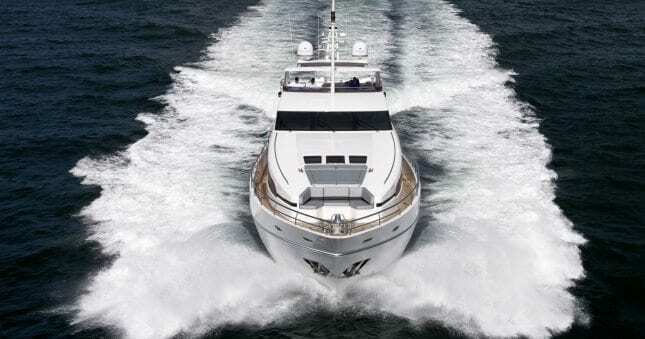 A well balanced yacht indeed.” Antheya III is the second Princess M Class to claim a prestigious World Superyacht Award with the first Princess 40M, Imperial Princess, winning in the Three Deck Semi-Displacement or Planing Motor Yachts category in 2013. 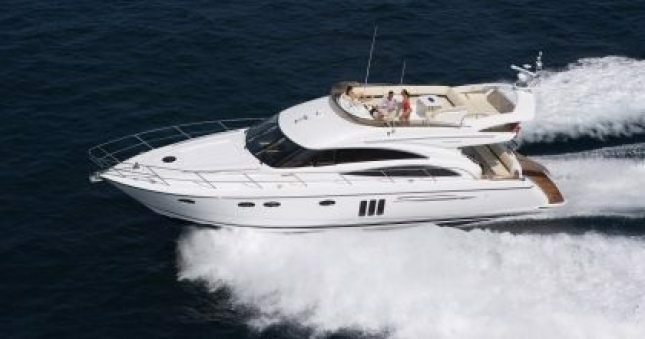 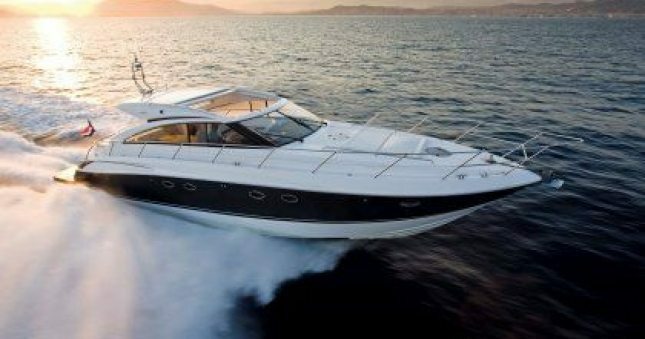 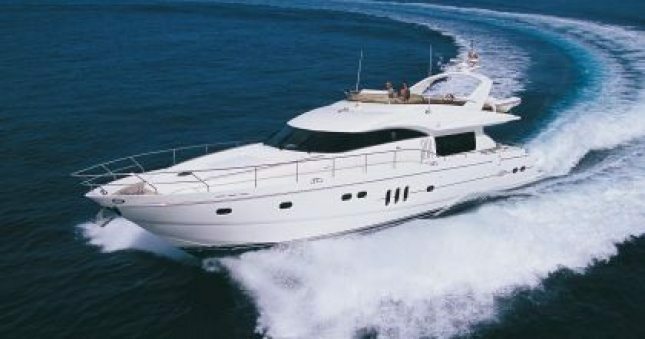 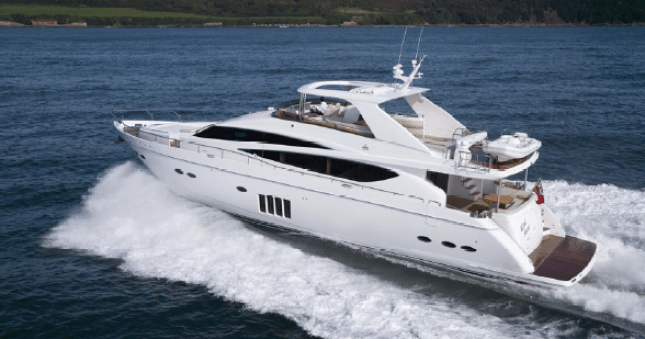 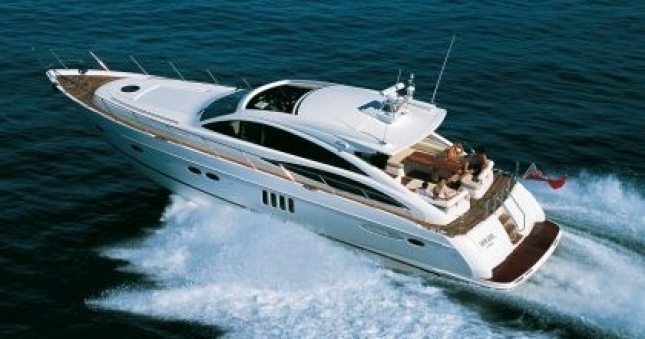 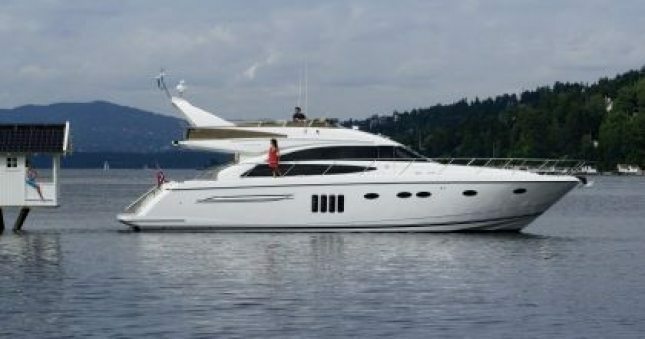 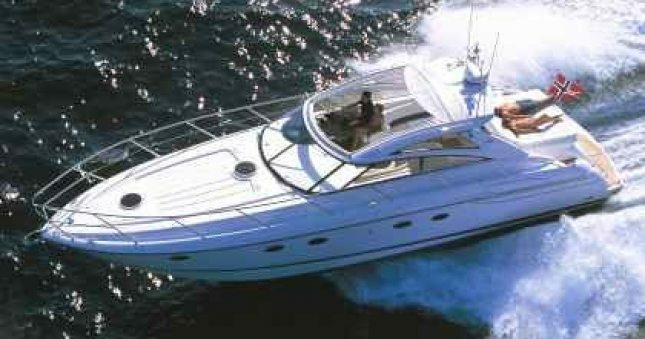 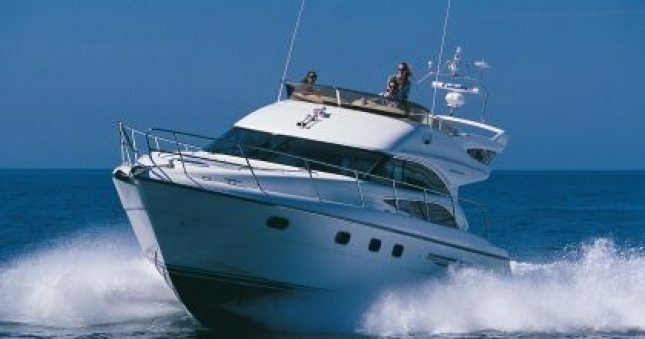 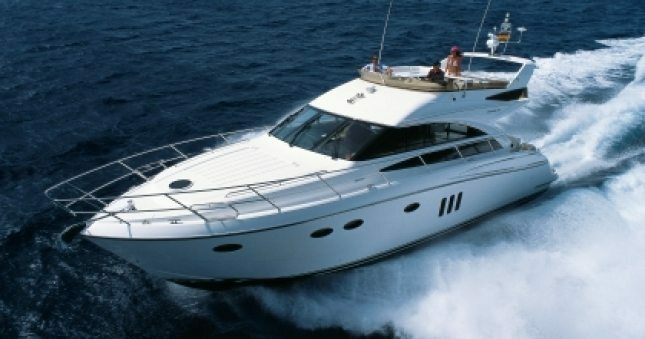 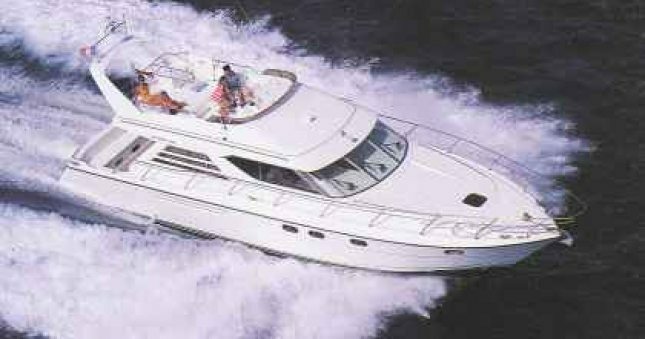 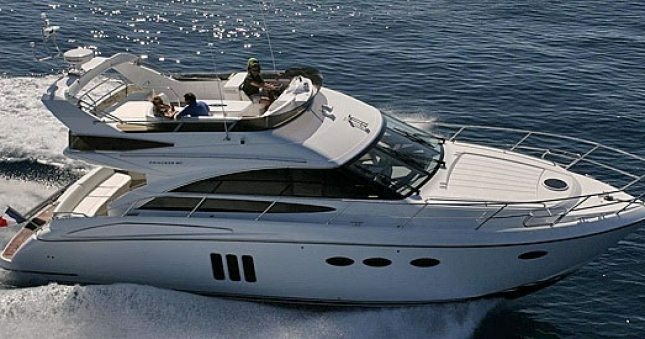 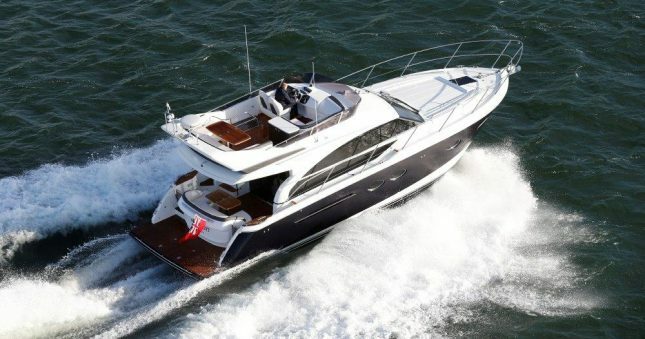 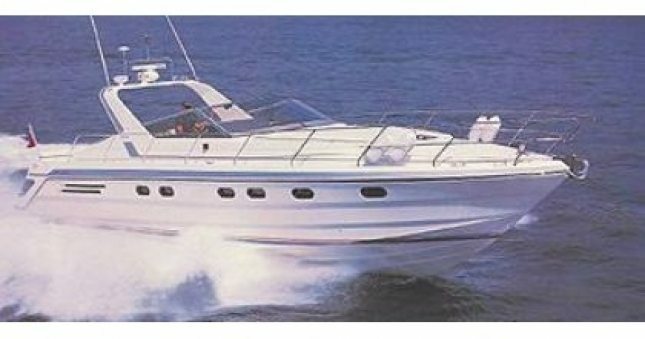 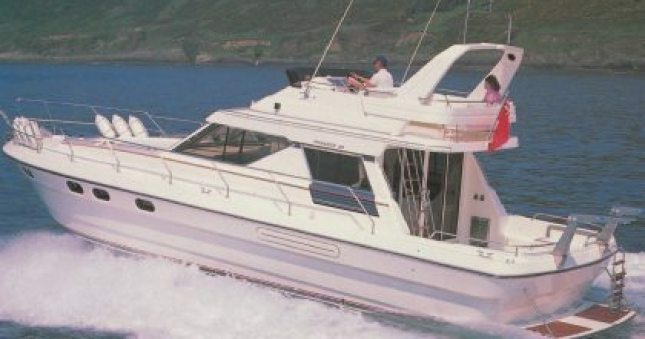 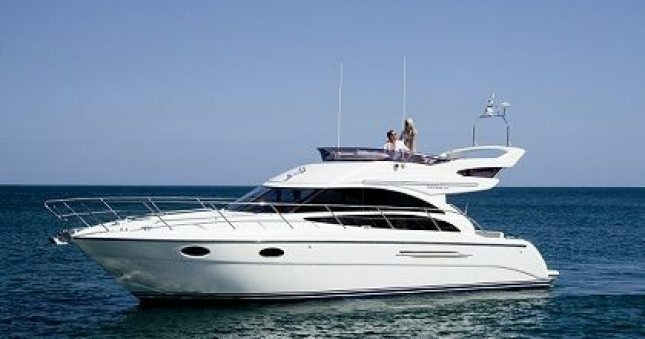 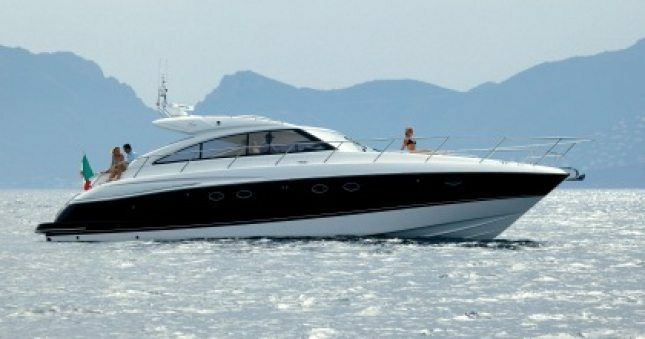 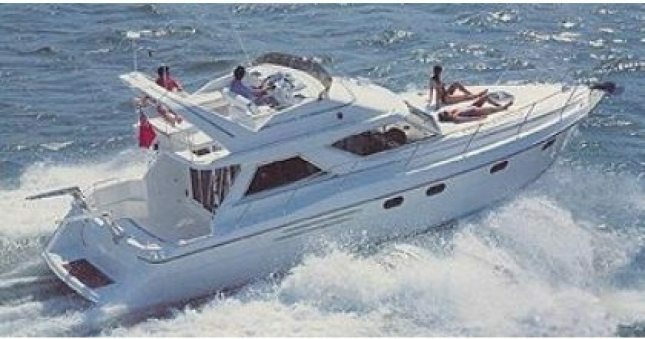 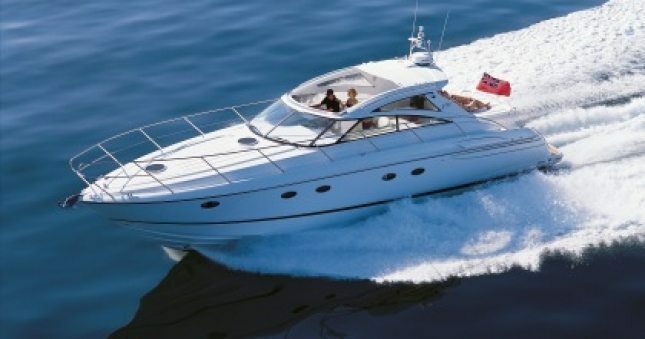 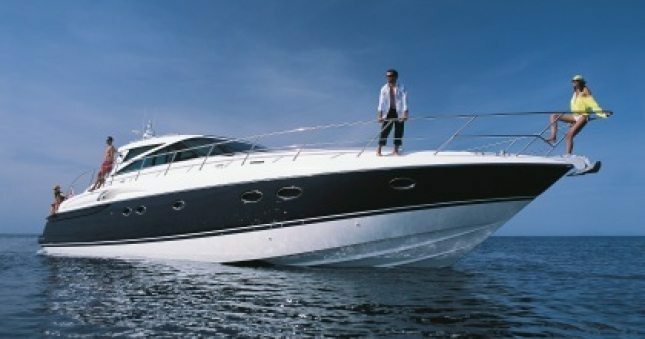 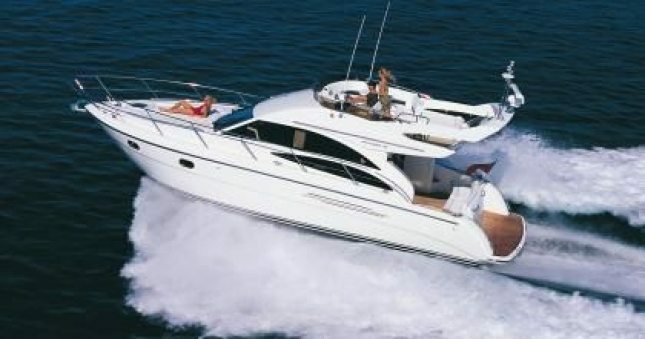 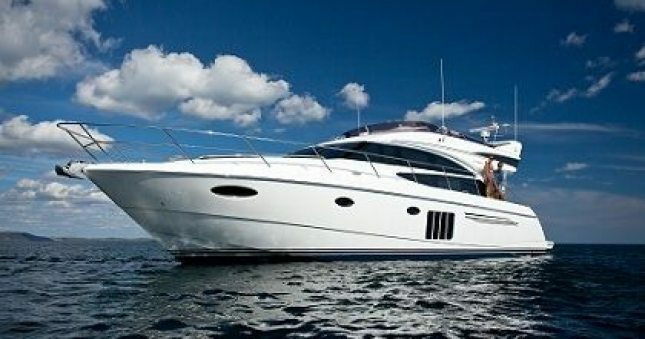 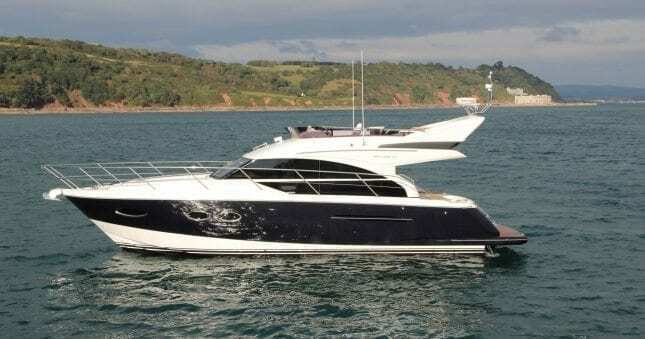 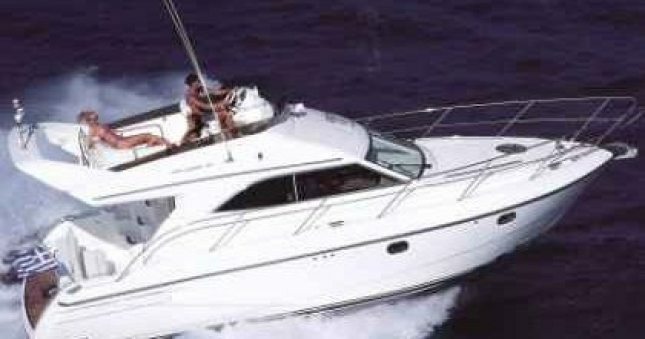 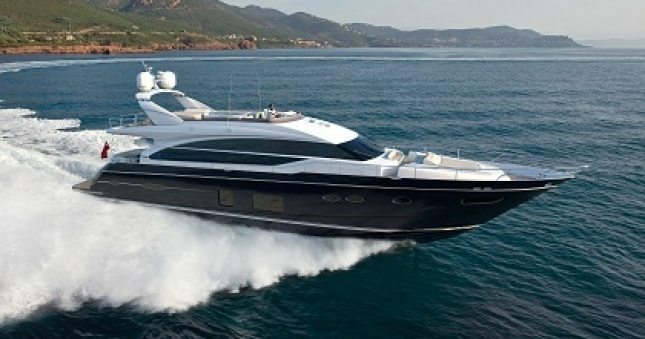 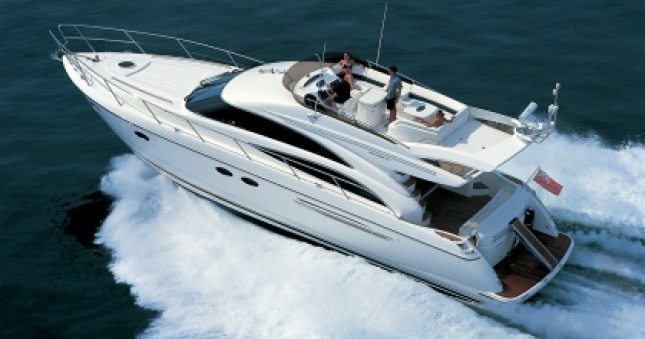 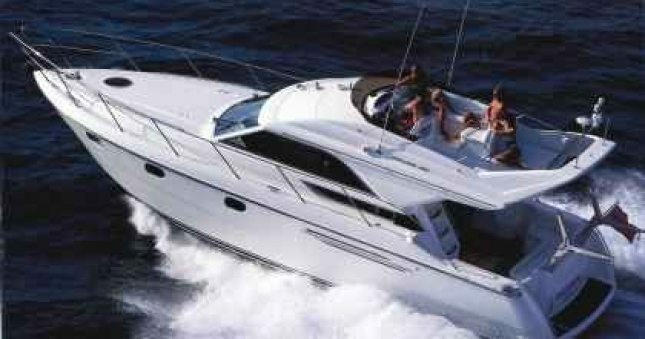 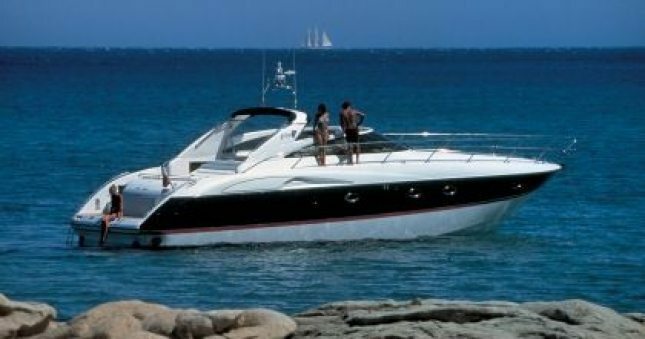 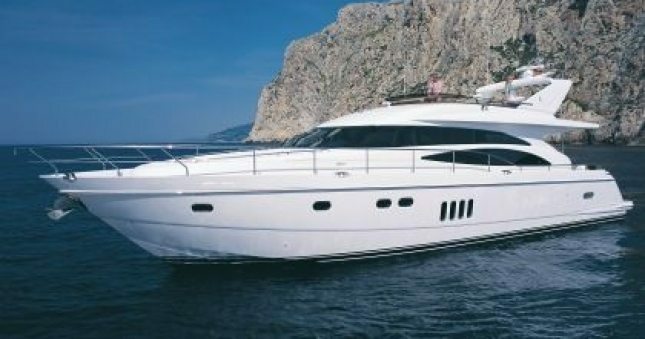 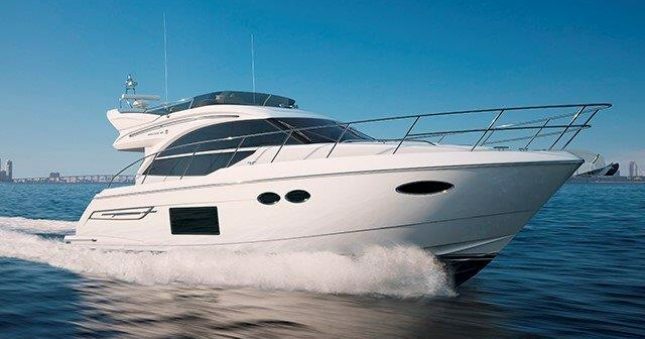 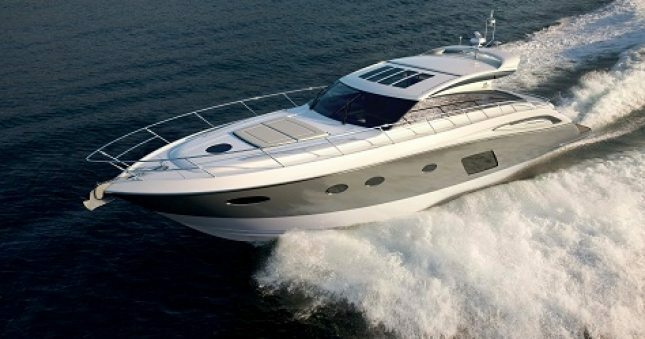 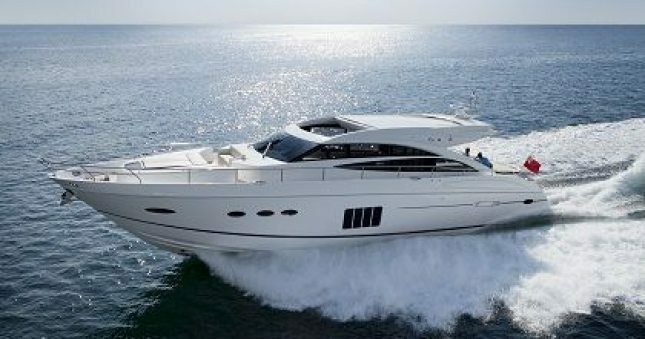 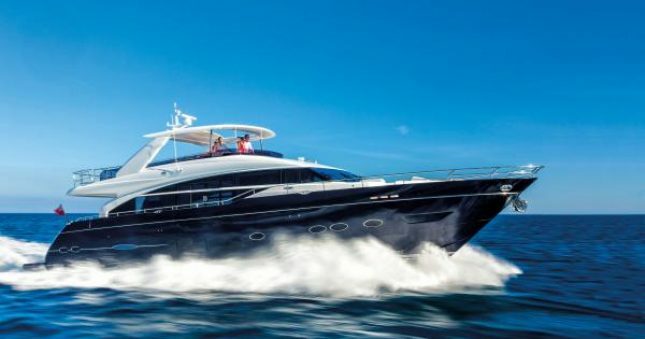 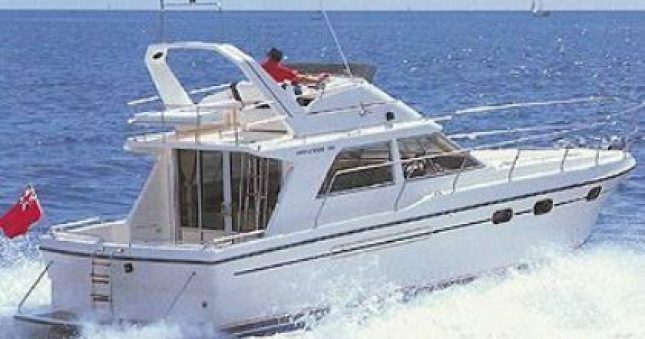 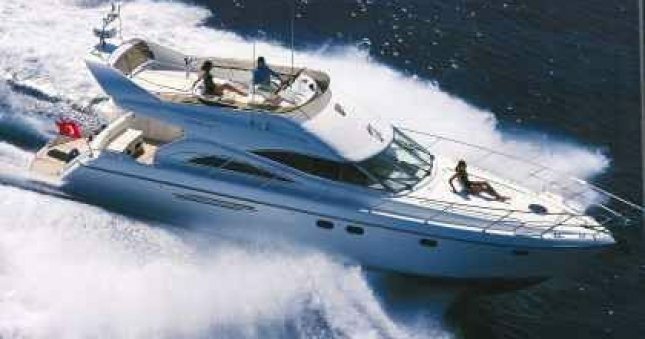 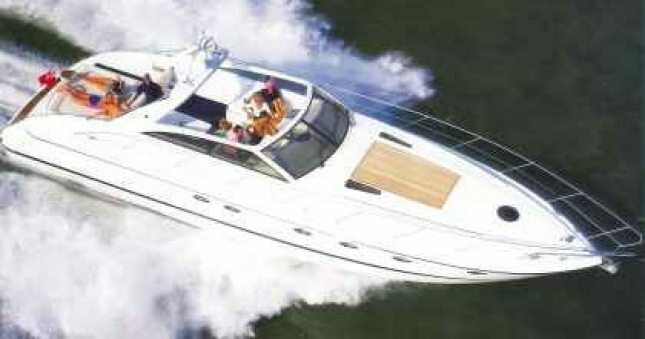 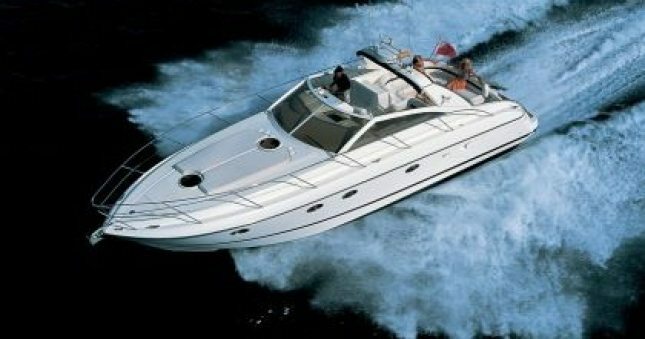 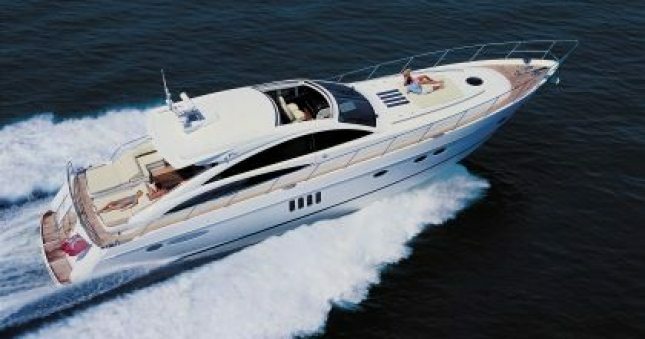 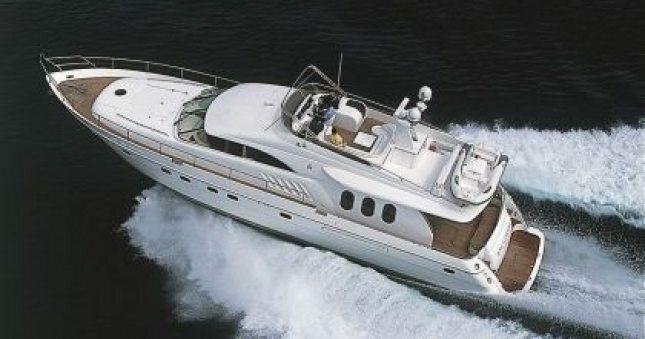 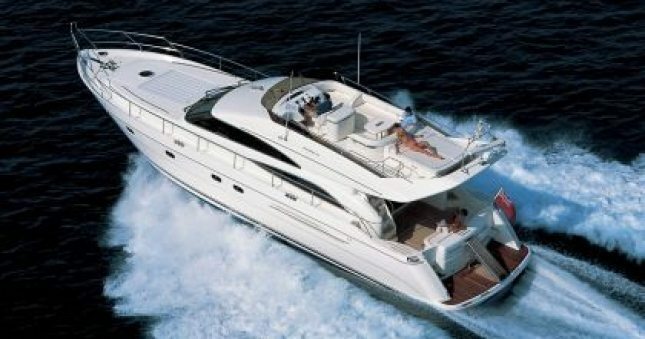 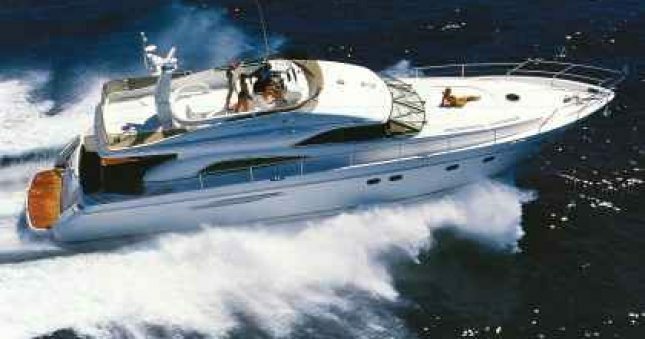 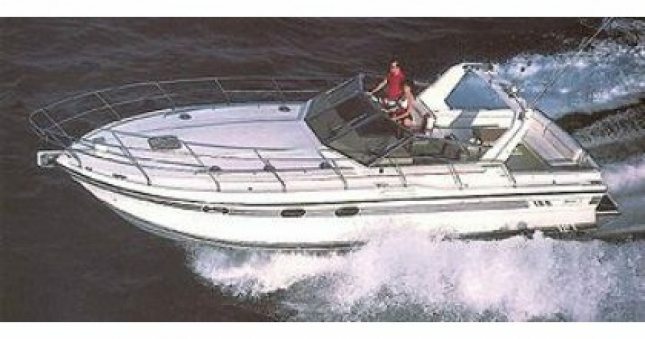 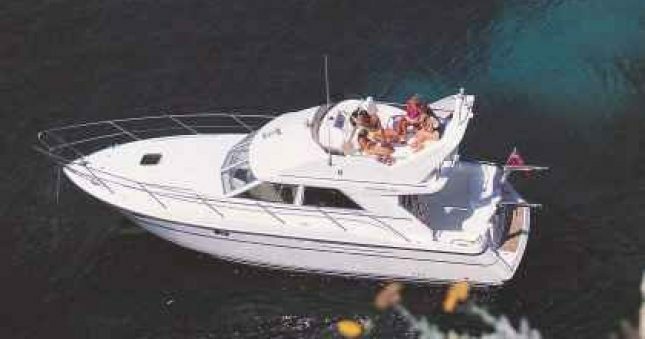 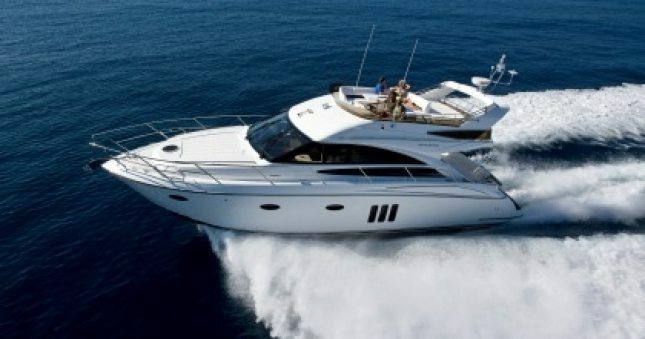 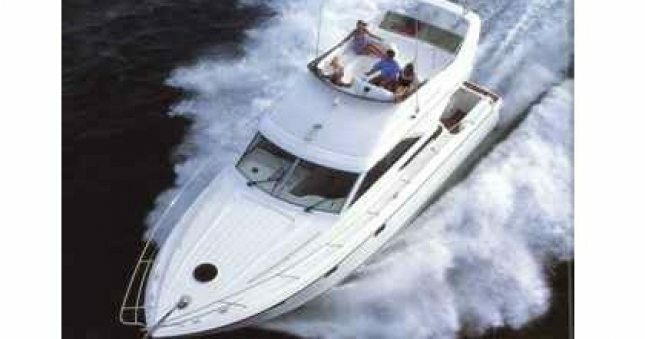 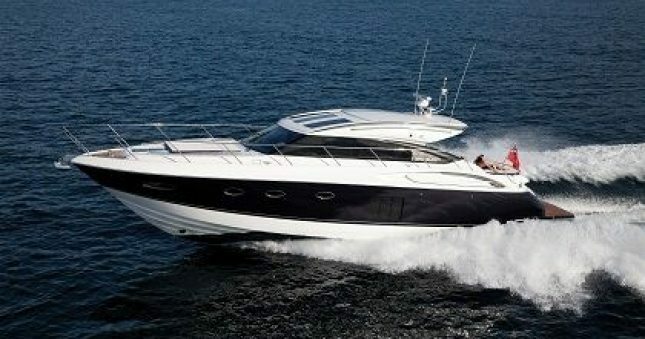 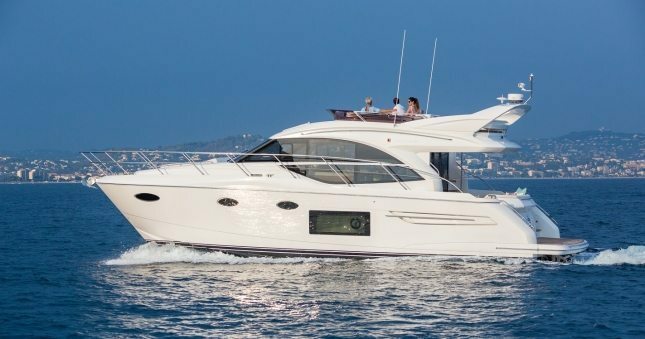 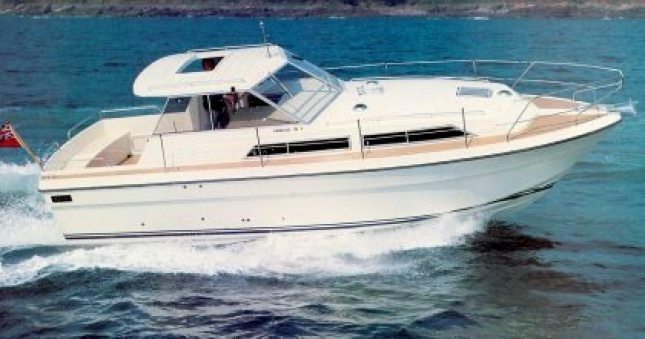 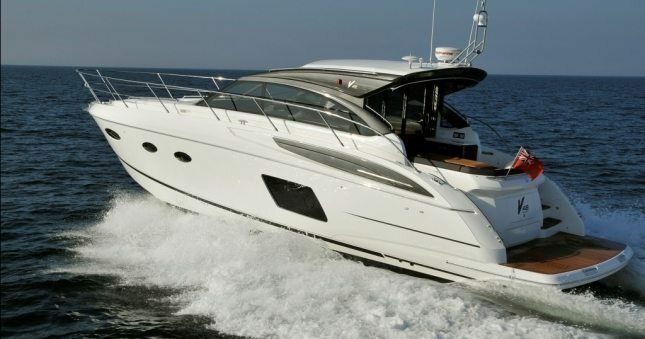 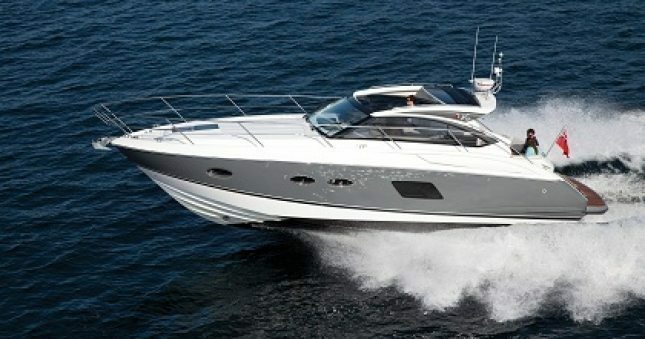 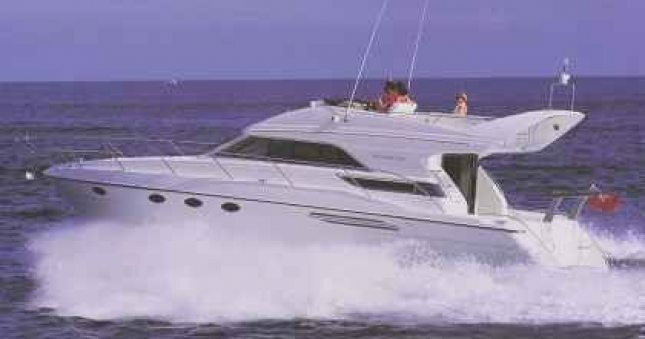 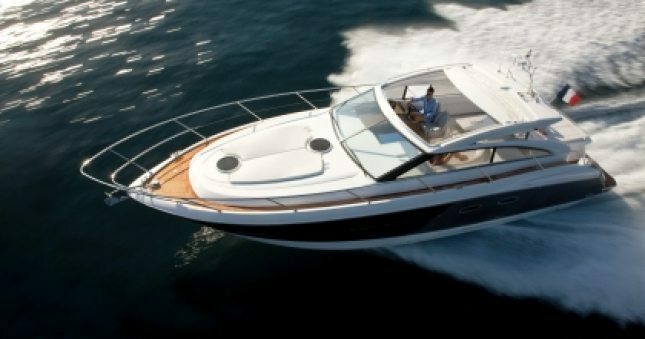 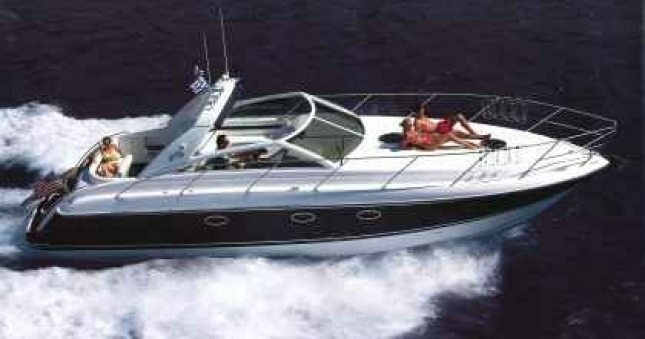 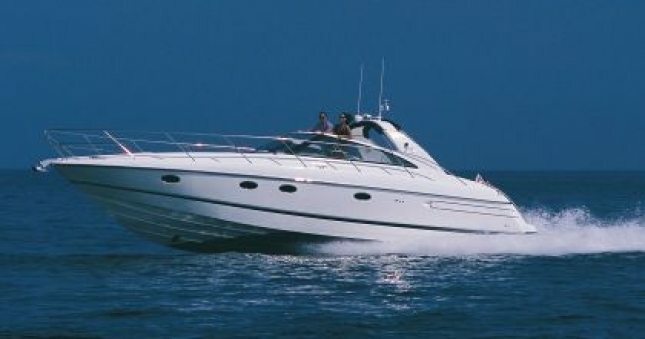 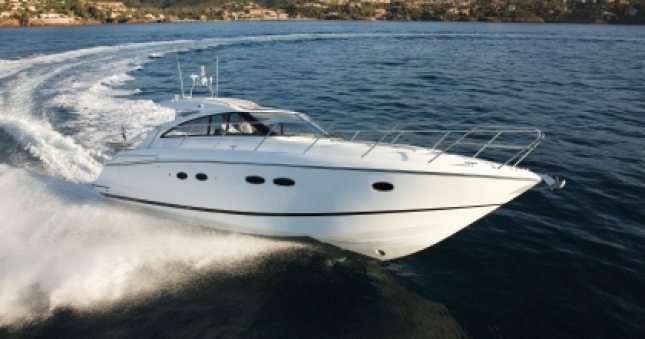 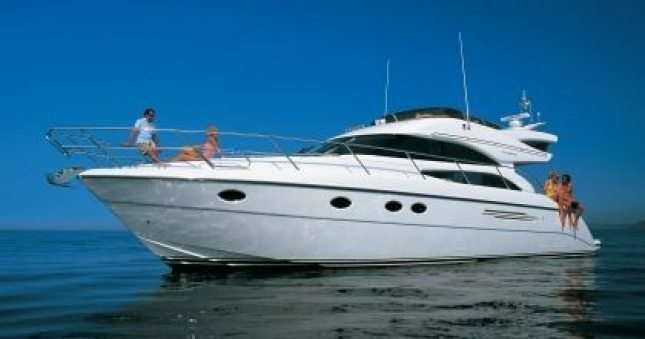 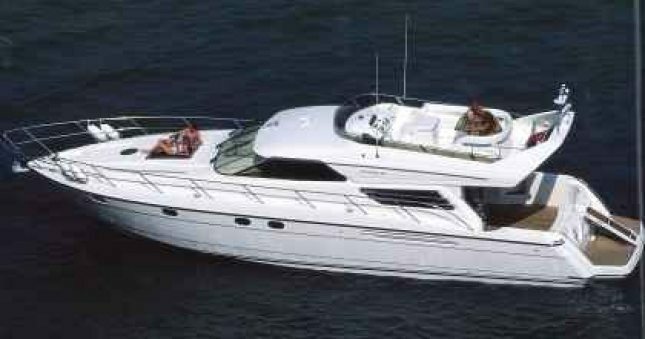 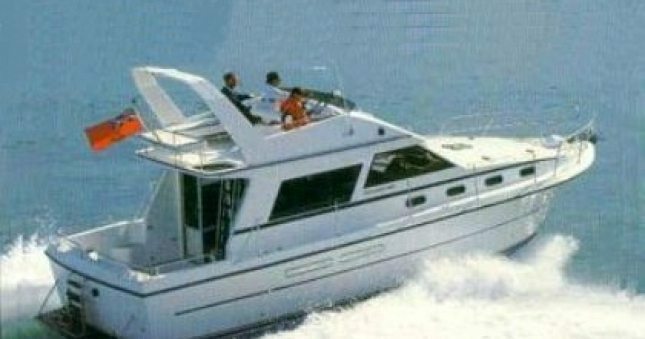 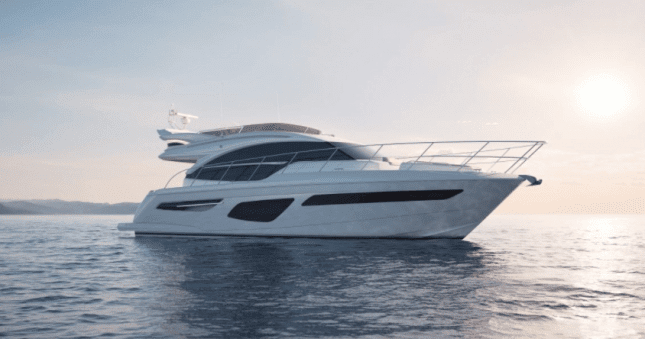 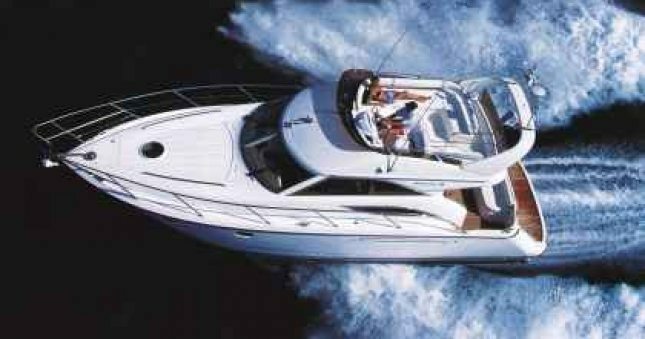 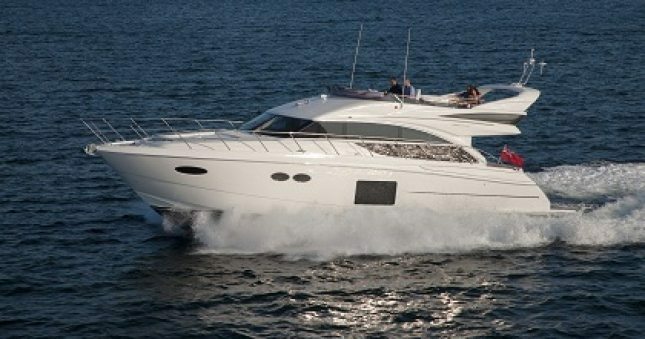 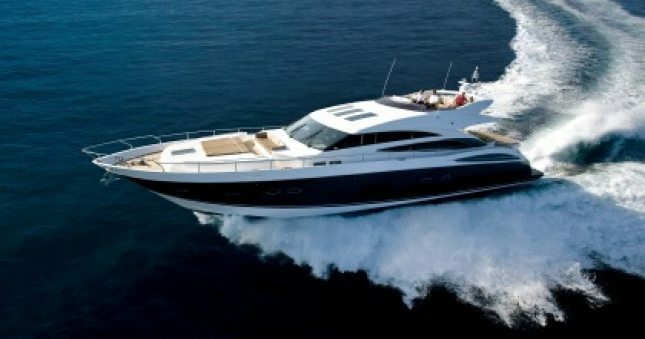 In the Sportscruiser over 45ft category, make way for the Princess V48 Open. 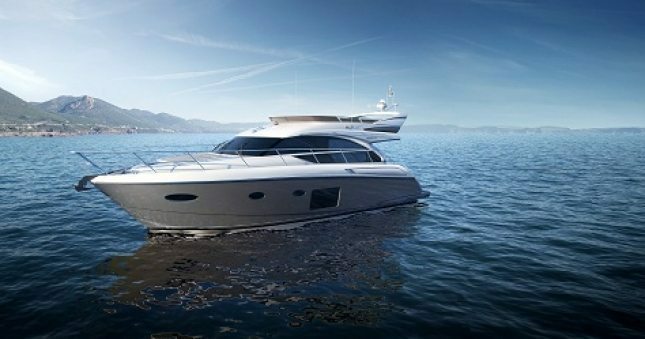 Launched at the Cannes Boat Show in 2013, the open version of the V48, she is the perfect vessel for the outdoor lifestyle. 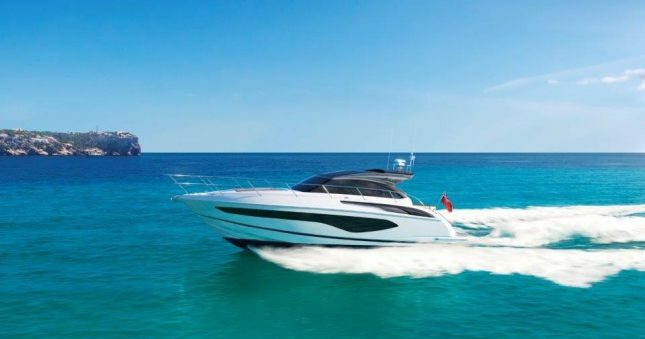 The brand new Princess S72, launched in 2014, was awarded the coveted prize in the over 55ft category in the 2015 Motor Boat Awards. 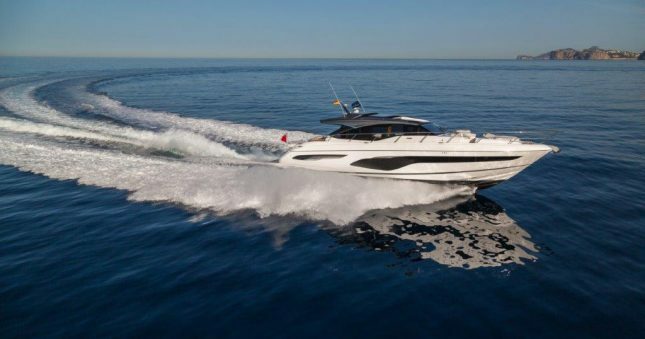 The S72 is the first of the new S Class Sportbridge yachts, in less than a year, had already received much acclaim - the award, evidence of her outstanding class, amongst rival yachts in this category. 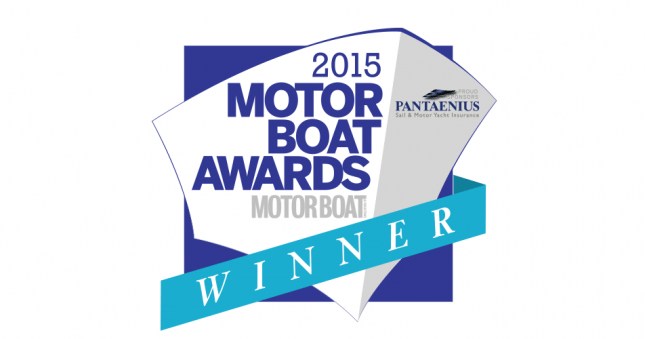 The Princess V39 has scooped another award, this time at the 2014 Asia Boating Awards. 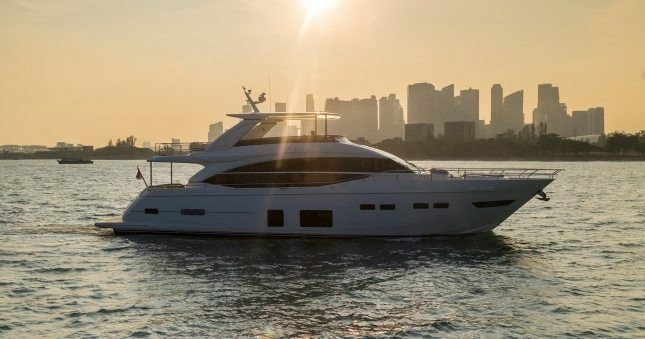 Following major successes in the UK and US, Princess' entry level sportscruiser was awarded the Best Worldwide Production Boat under 15M at the 10th annual Asia Boating Awards held in Hong Kong. 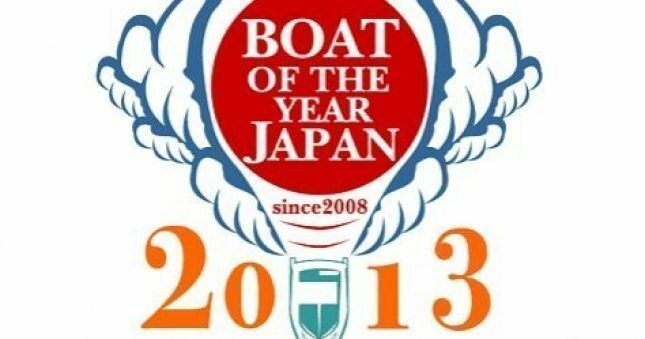 For the second consecutive year Princess have been victorious at the Boat of the Year Japan awards. 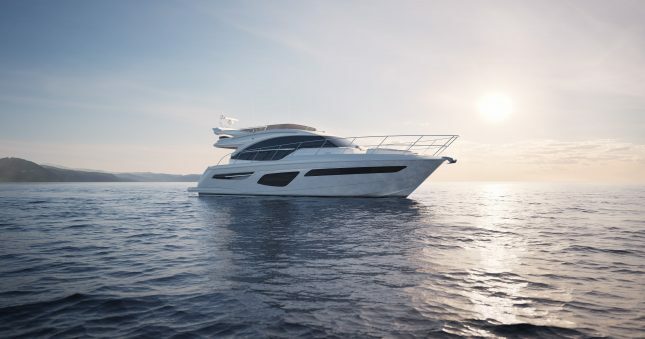 The impressive Princess 56 has been named ‘Best Imported Large Yacht’, following in the footsteps of the multi-award winning V52 which last year also became the first ever imported boat to claim the title of overall ‘Boat of the Year Japan’. 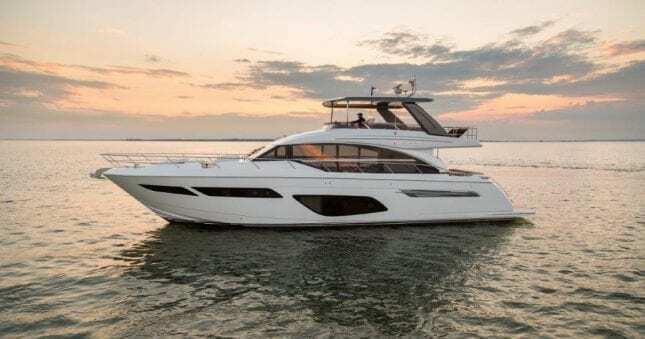 Princess continues to dominate the flybridge market with the new Princess 43 collecting the award for best Flybridge up to 55ft at the 2014 Motor Boat Awards, arguably the most important category of the night and fighting off competition from far larger challengers. 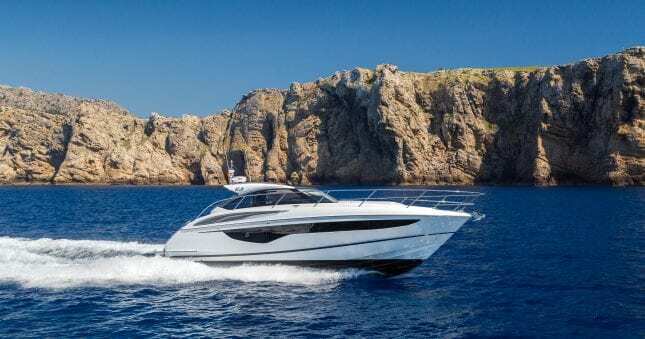 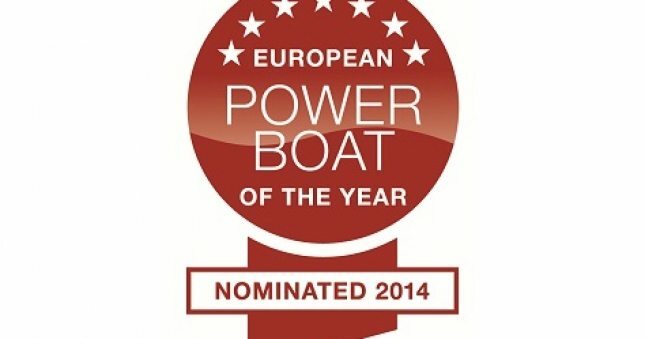 The new Princess V48 Open has been nominated for European Powerboat of the Year 2014 in the over 45ft category. 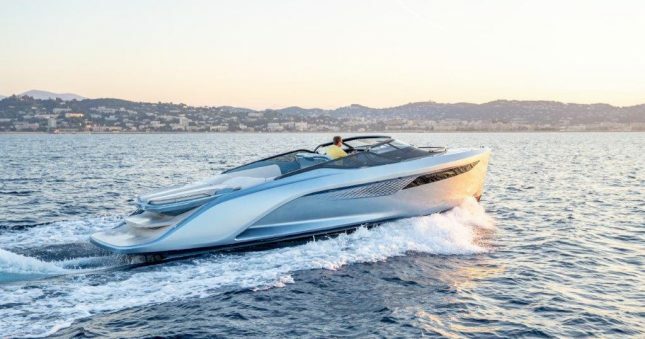 The V48 Open made her international debut in September at the Festival de la Plaisance de Cannes. 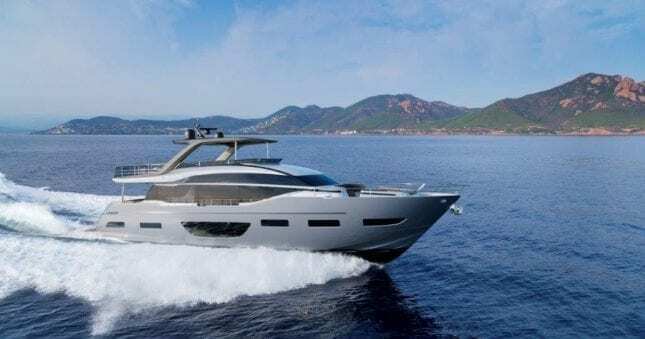 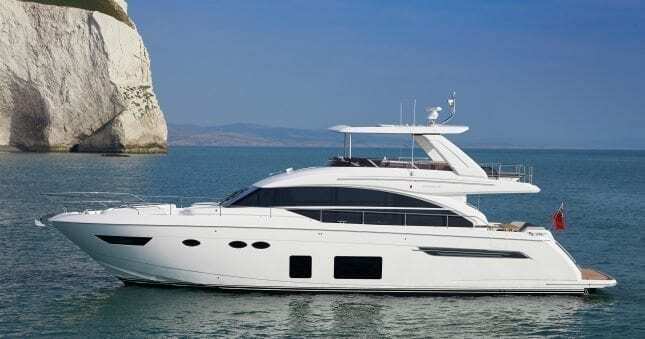 Princess Yachts International is celebrating the success of Imperial Princess, the first Princess 40M from the company’s M Class range of 100ft plus yachts, at the eighth annual World Superyacht Awards held in Istanbul, Turkey on 4 May. 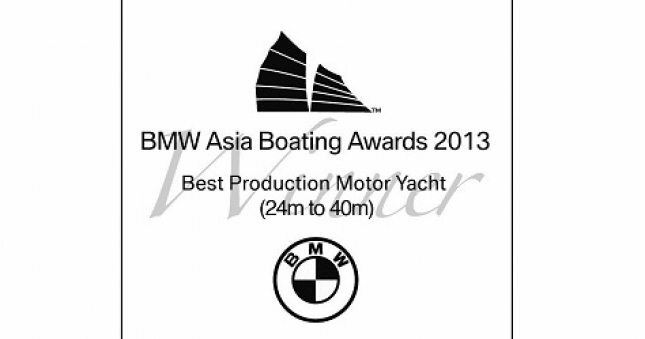 The 40M has been named ‘Best Production Motor Yacht (24m to 40m)’ at the 9th annual Asia Boating Awards. 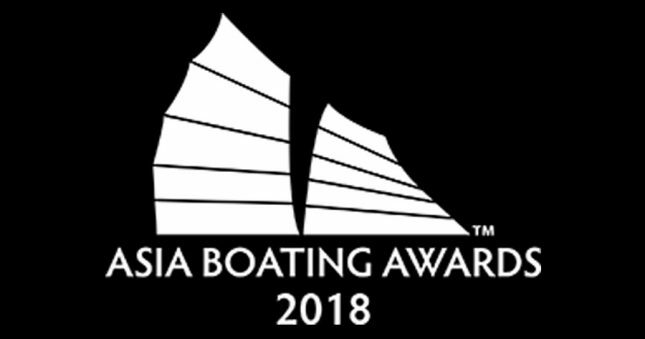 Jointly organised by Asia-Pacific Boating and China Boating the awards, which were attended by industry VIPs from around the globe, honour the best of yachting in Asia and internationally. 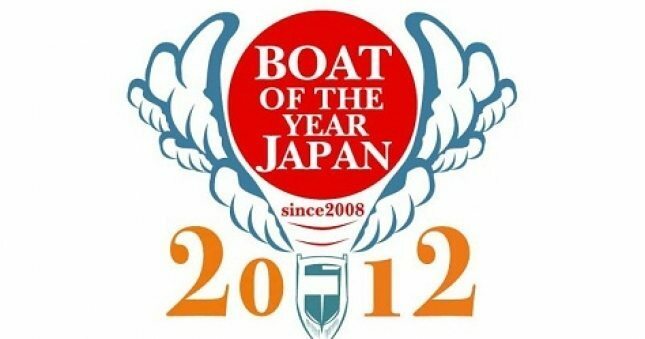 Princess Yachts International celebrate another win at the annual Boat of the Year Japan 2012 awards. 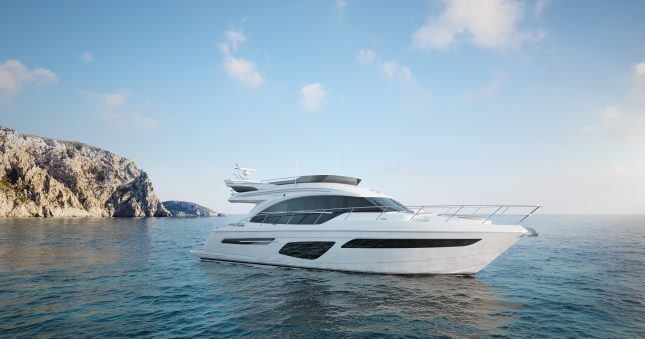 Having already claimed the title of ‘Best Imported Large Yacht’ the Princess V52 has been crowned overall ‘Boat of the Year’ in a ceremony held at the Japan International Boat Show. 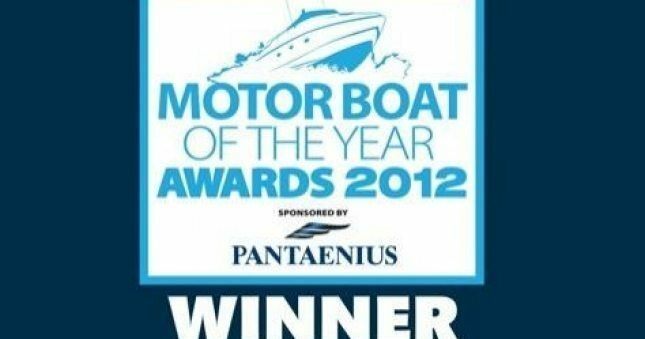 Princess Yachts International enjoyed yet another successful evening at the annual IPC Marine Media’s Motor Boat of the Year Awards where the Princess V39, which has received high praise from the worlds boating media since her launch last year, picked up the coveted title of ‘Motor Boat of the Year’ for Sportscruisers up to 45ft. 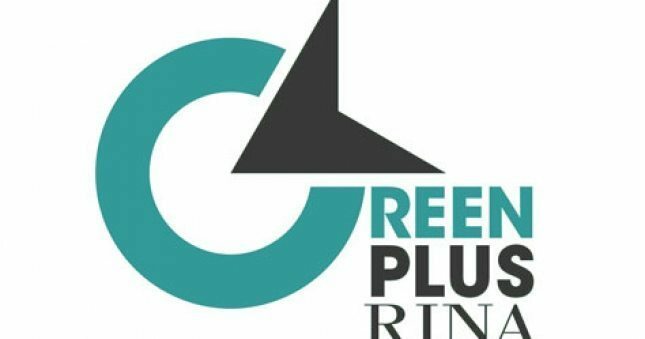 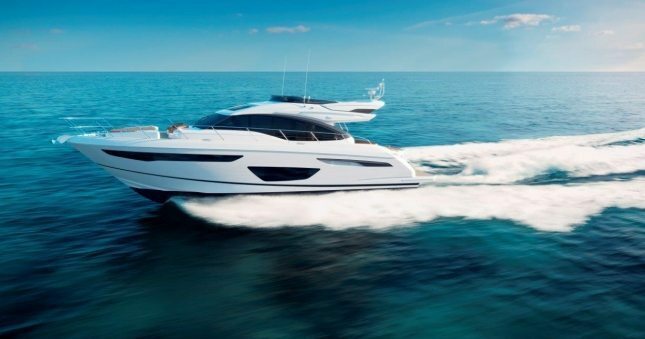 Princess Yachts today became the first significant British boat builder to achieve the Rina Green Plus (Y) notation for their entire range of V Class and Flybridge yachts up to 24m (85 feet). 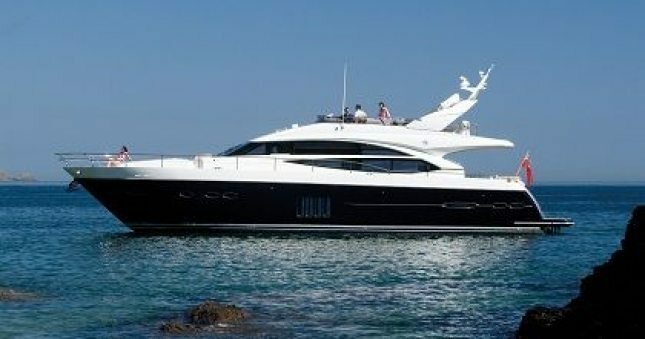 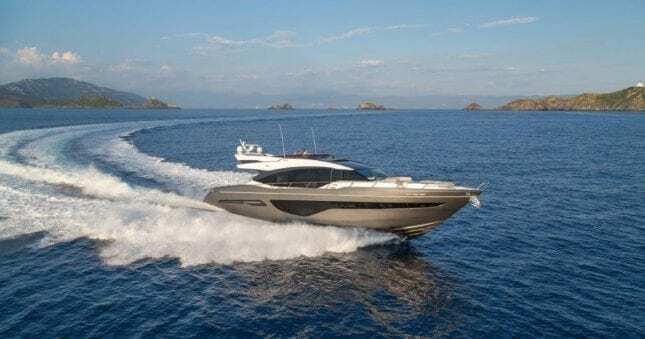 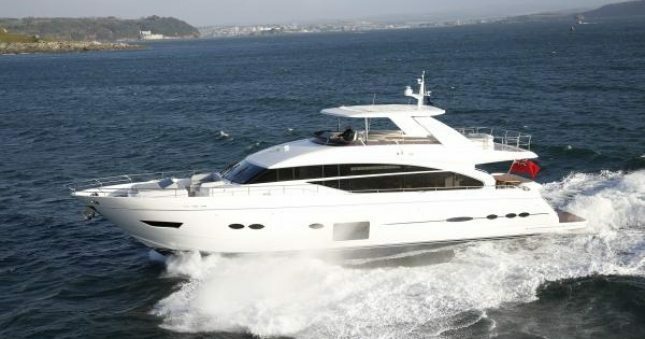 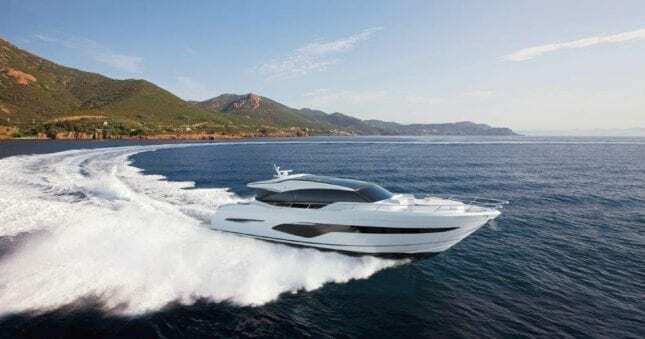 The 32M was awarded the title of Best Production Motor Yacht (81 to 120 feet) at the 7th annual Asia Boating Awards which took place on 6th May at 2011 Hong Kong Gold Coast Boat Show. 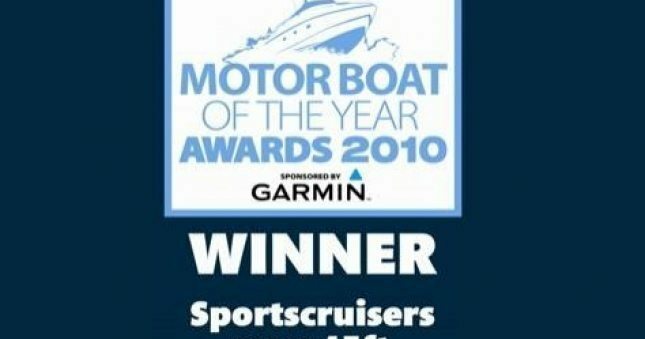 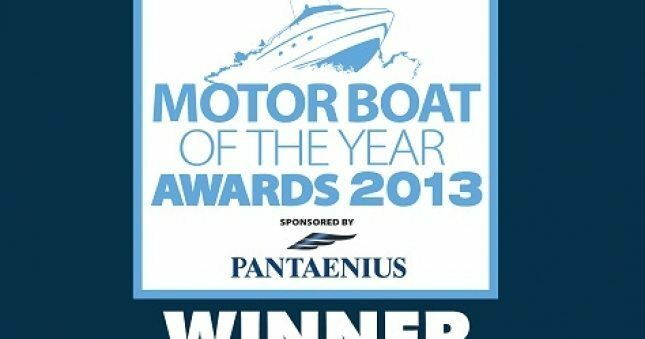 Princess Yachts International enjoyed another successful evening at the annual Motor Boat of the Year awards where, the already highly acclaimed V62 picked up the coveted title of ‘Boat of the Year’ for the Sports Cruiser category. 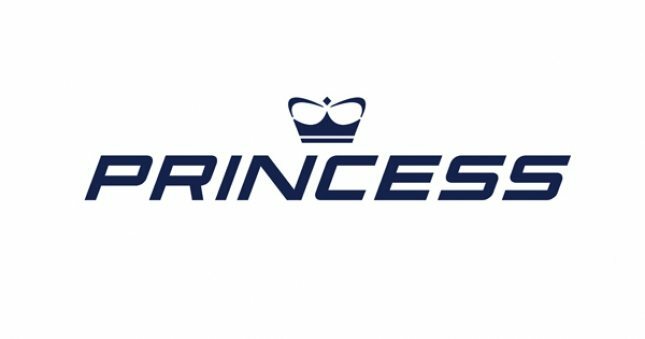 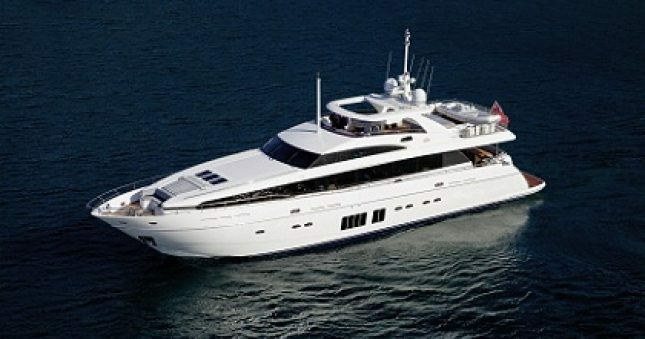 In 2009, Princess acquire a new site; South Yard on a long term lease from the Ministry of Defence for the development of the M Class Superyachts. 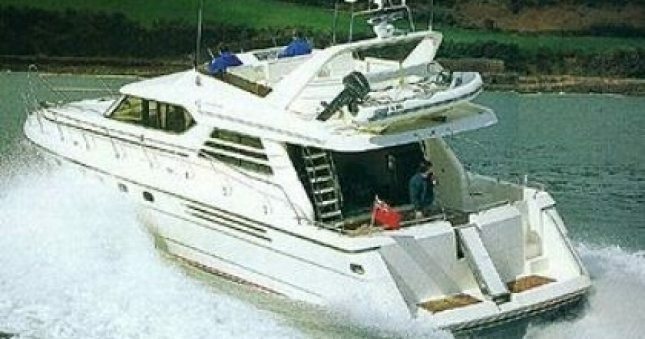 The company was later granted the freehold in 2011. 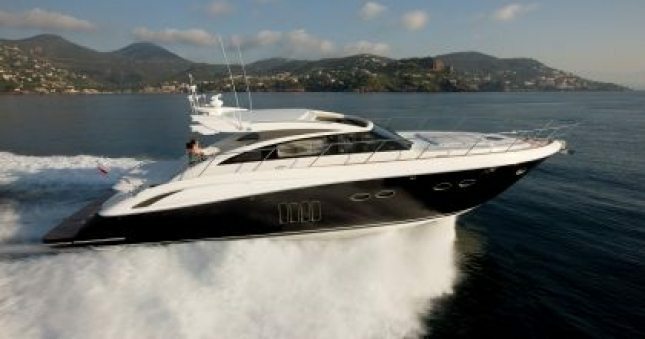 The Company now employs 1,450 people and enjoys global sales in excess of £140 million with exports accounting for 90% of sales. 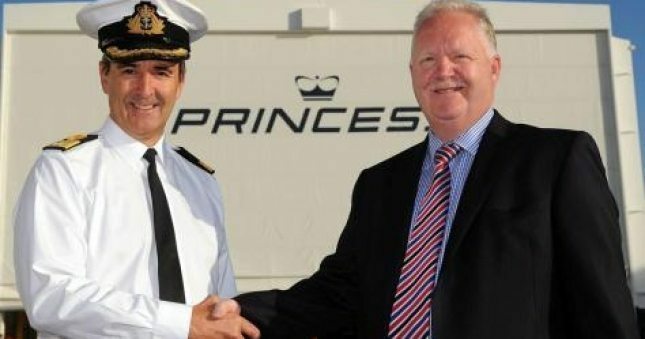 Marine Projects (Plymouth) Ltd becomes Princess Yachts International plc. 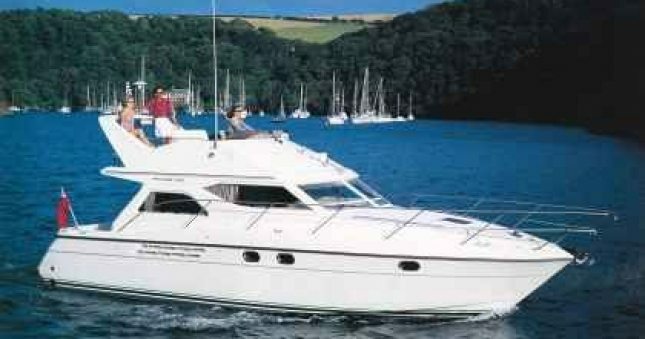 New purpose-built headquarters were opened in Newport Street, Plymouth in 1997. 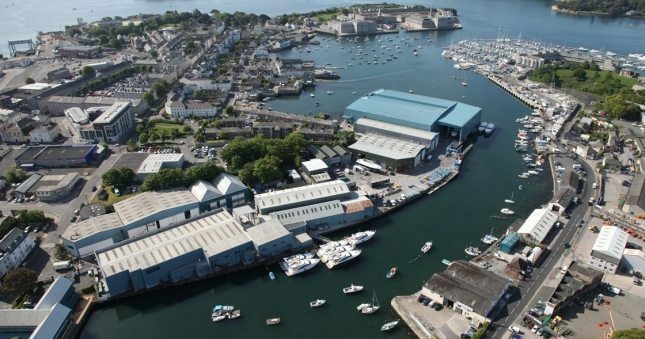 A new site at Coypool, Plymouth was also acquired and an extension added to the manufacturing facilities at Langage, Plymouth. 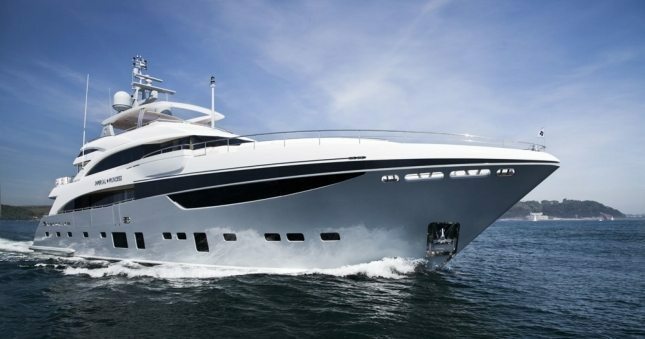 Today, Princess Yachts shipyards span over 1,100,000 sq ft. 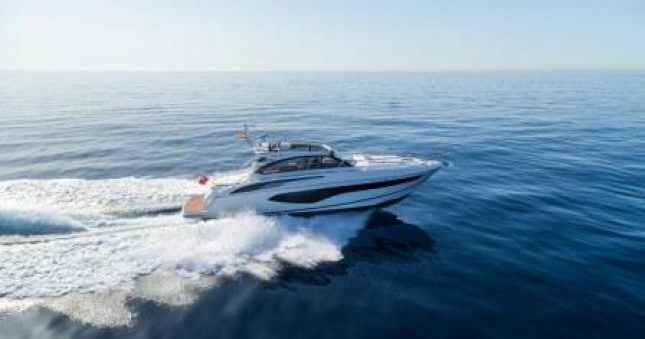 The First V Class sports yachts are developed, the V39 and V52, both with outstanding performance and sea-keeping abilities and widely accepted in world markets, laying a strong foundation fro today's high performance V Class range. 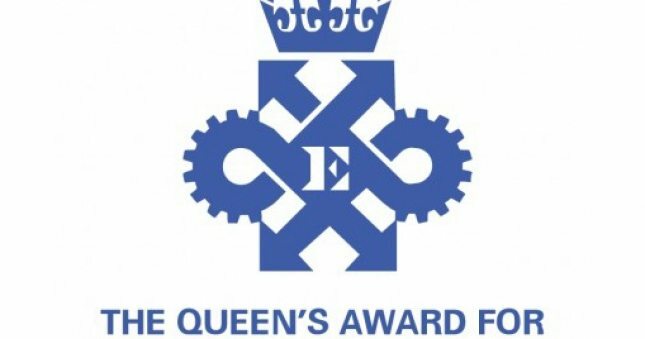 Marine Projects (Plymouth) Ltd are awarded the Queen's Export Award. 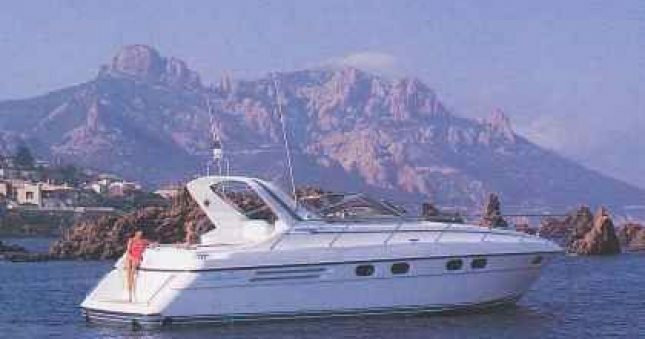 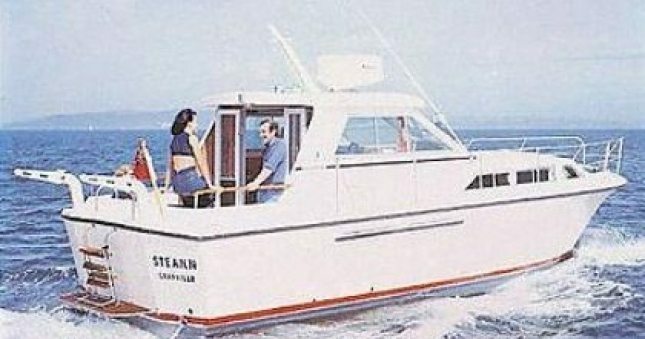 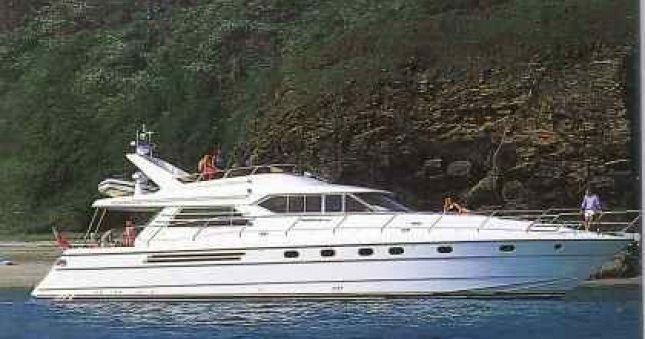 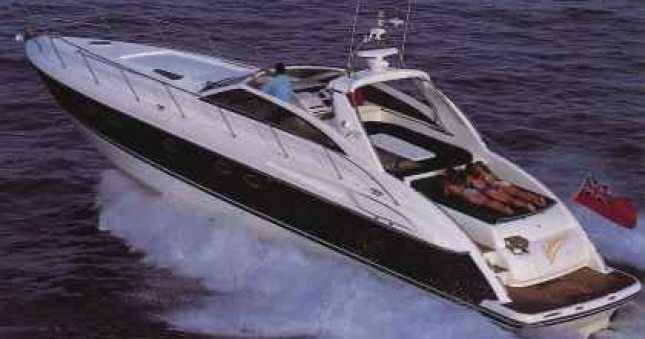 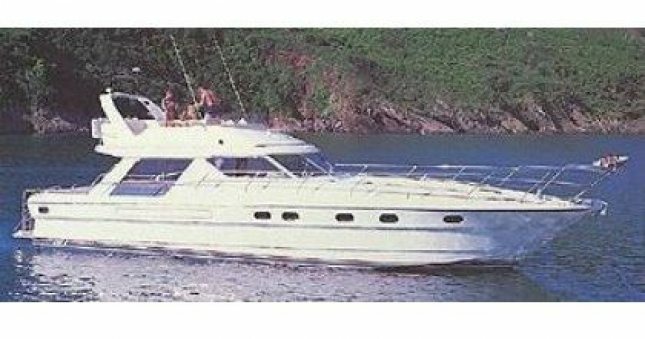 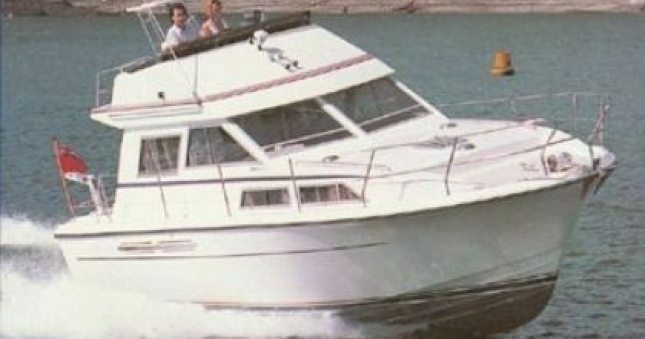 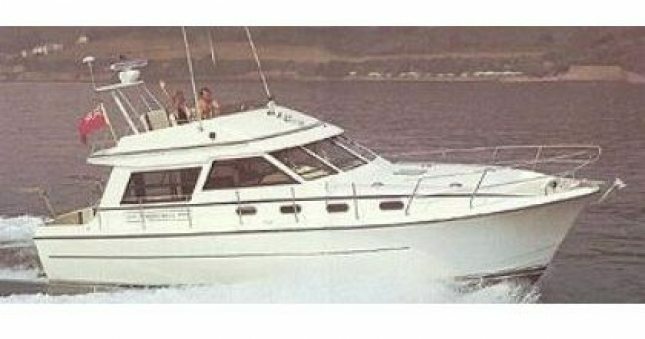 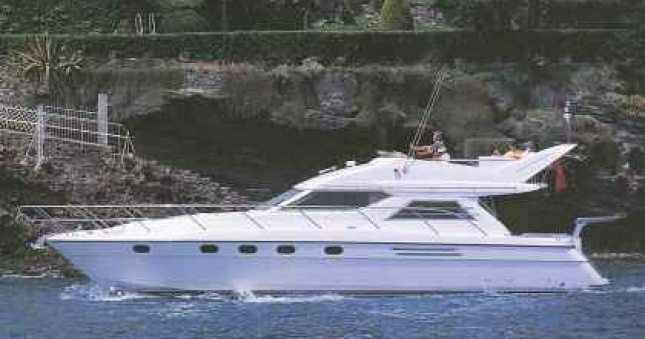 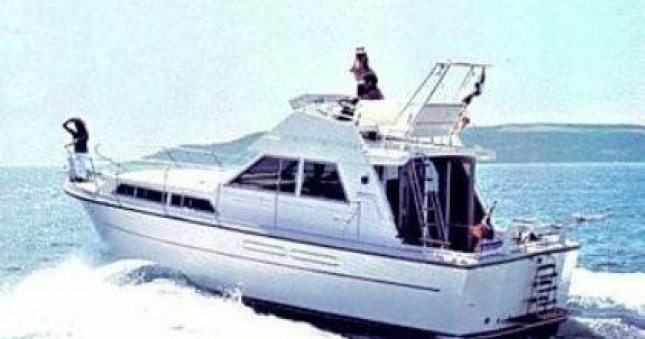 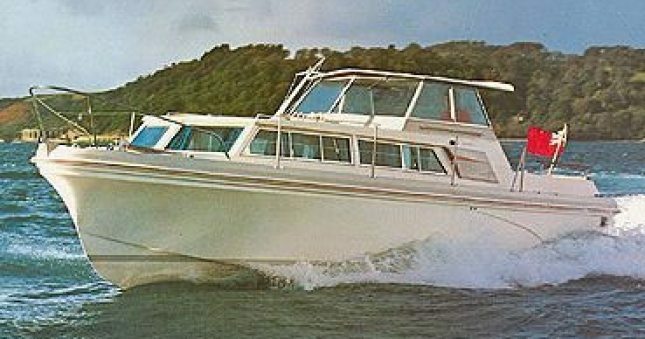 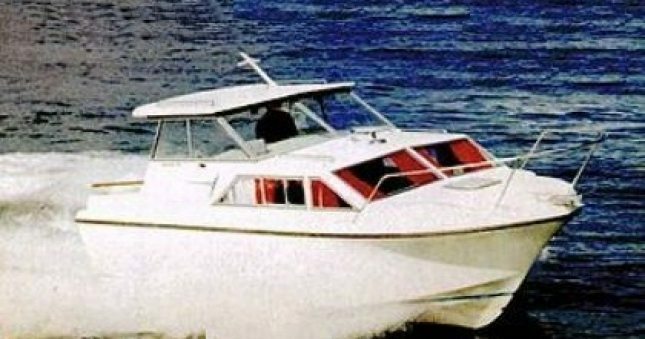 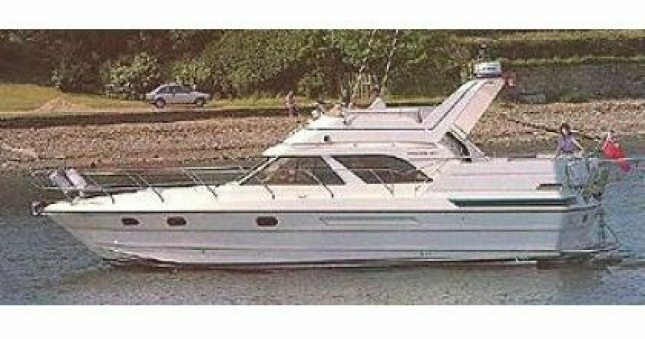 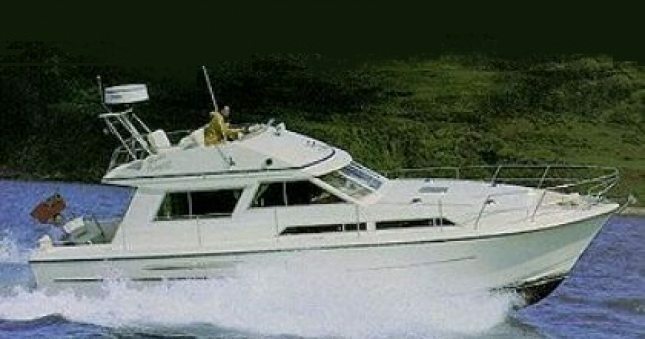 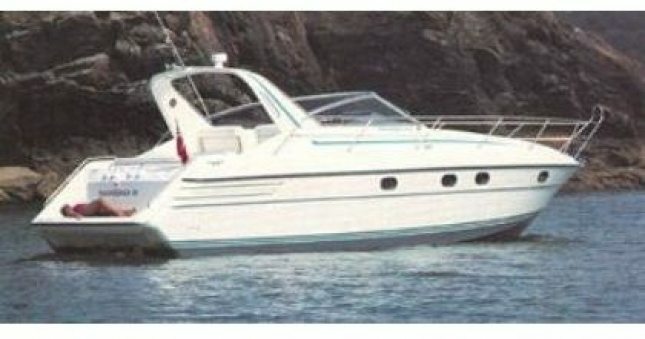 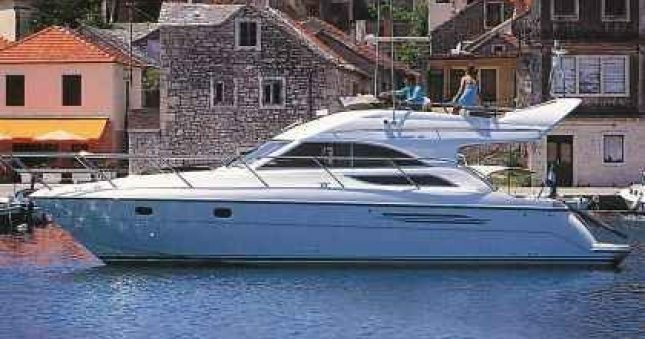 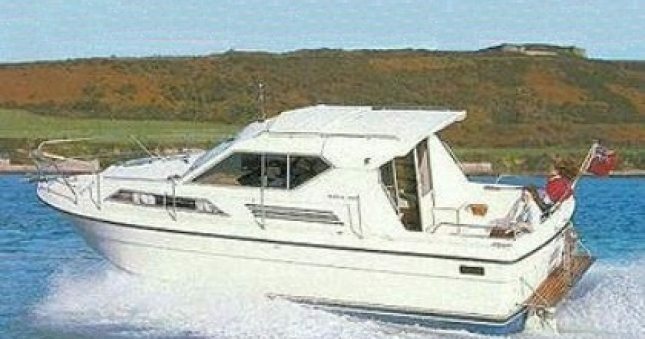 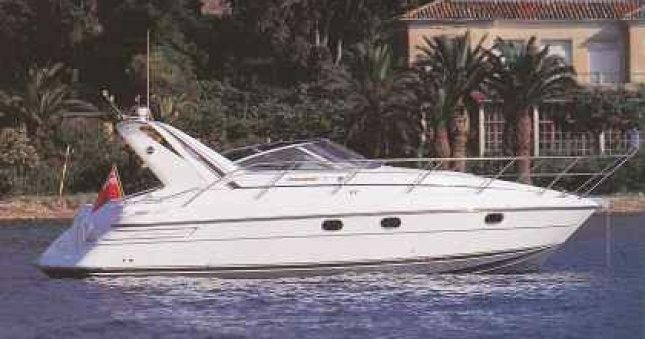 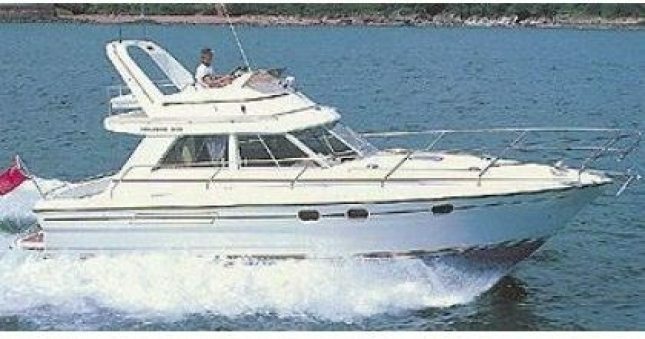 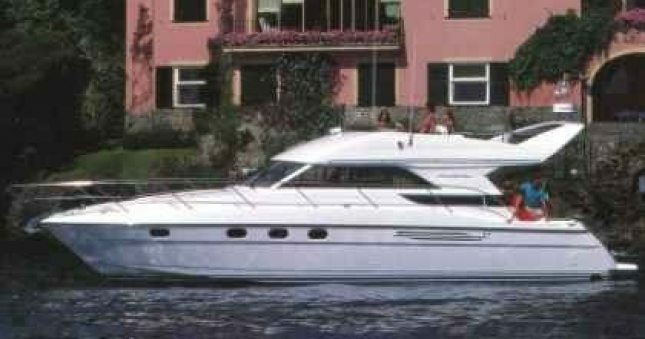 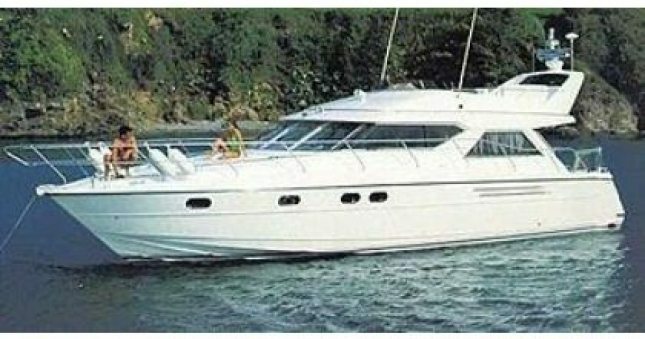 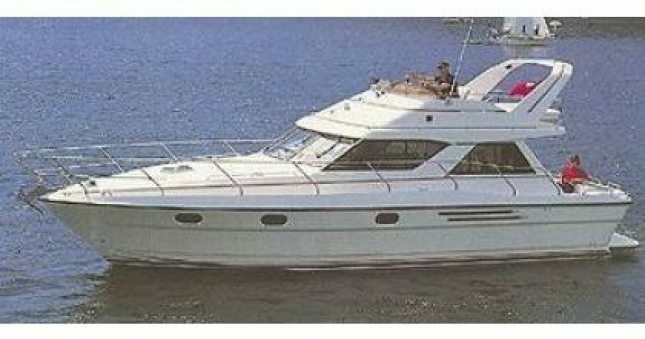 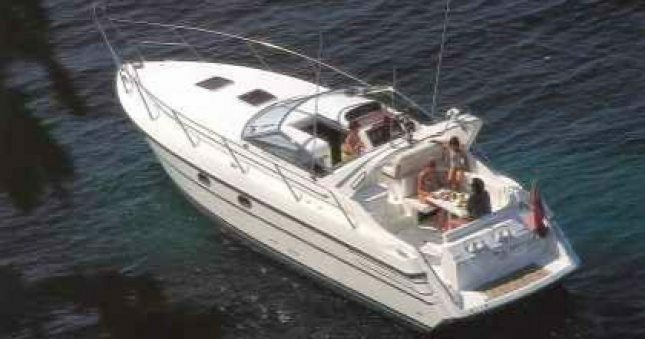 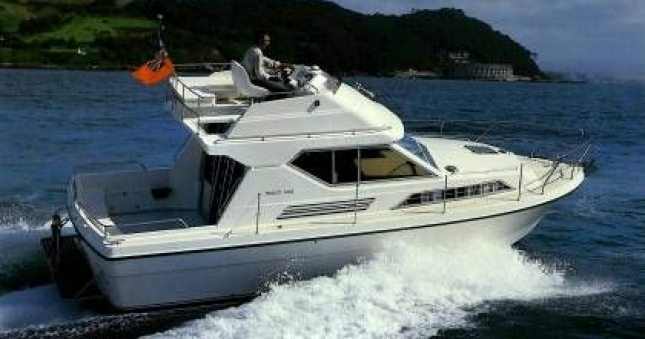 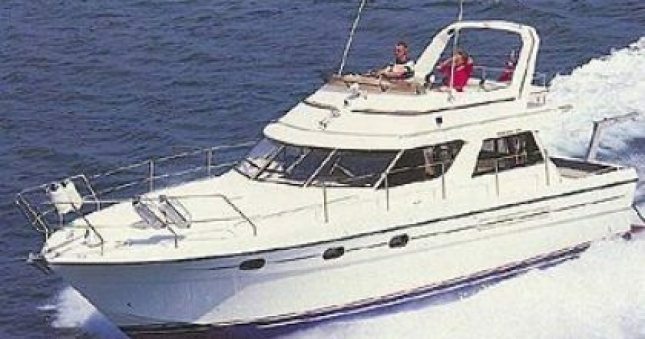 In 1982, the Princess 45 was introduced, a landmark design, and at the time the largest production motoryacht in the UK. 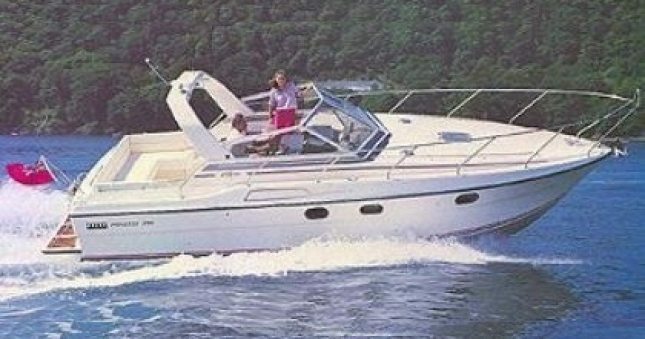 Over 400 were sold in 9 years when it was replaced by the Princess 455. 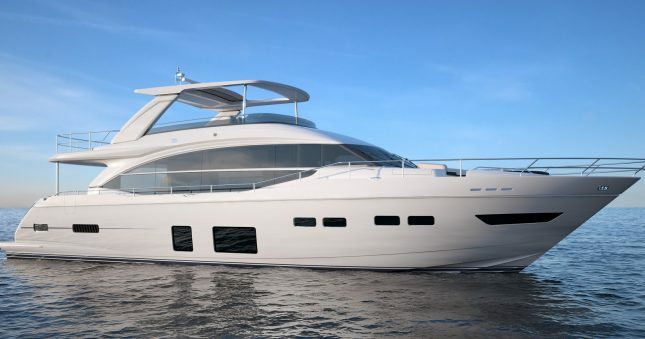 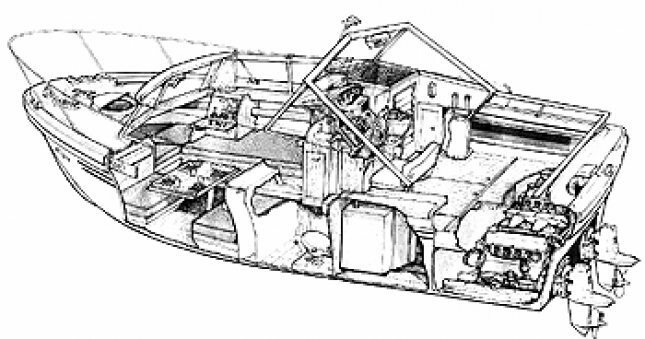 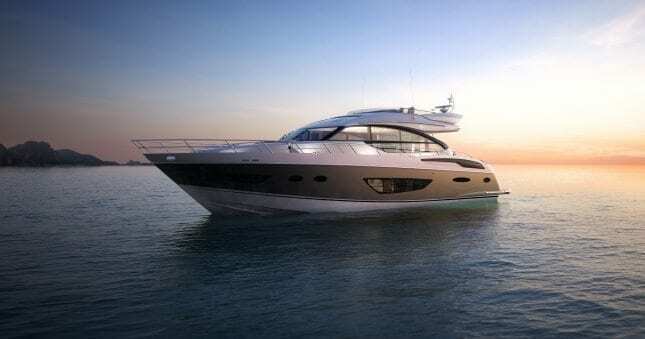 Bernard Olesinski designs his first Princess, the Princess 30DS. 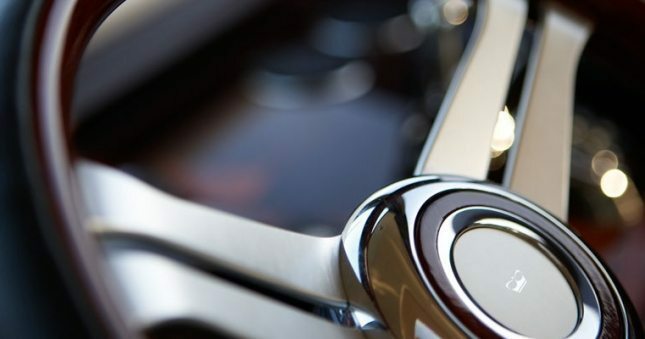 It is the beginning of a design relationship that continues to present day. 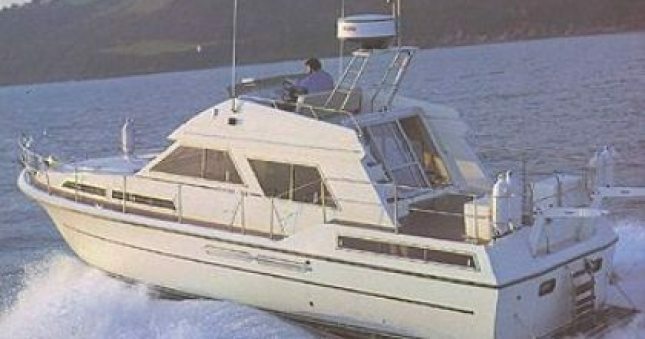 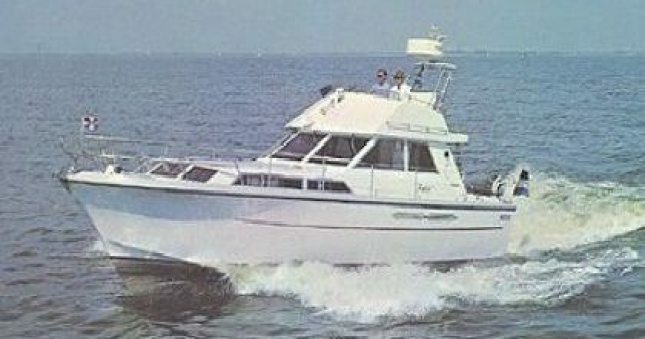 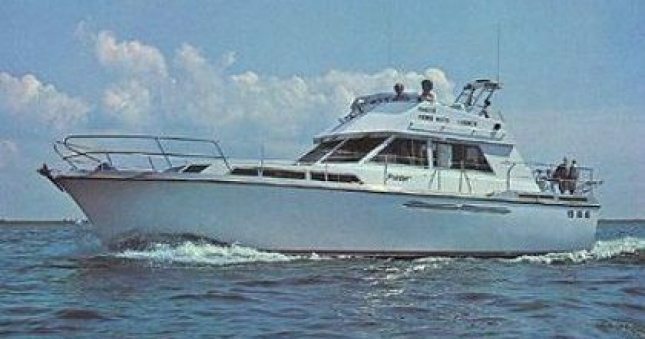 The Princess 37 V Hull, the first Princess flybridge motoryacht to be built with high performance inboard diesel engines, is launched in 1974. 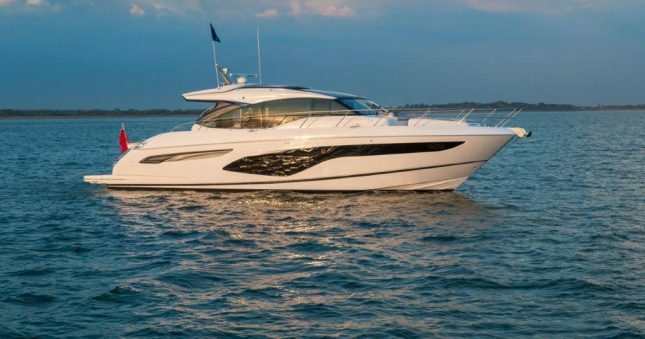 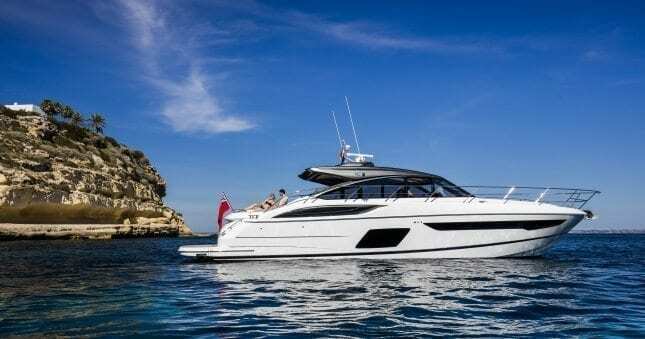 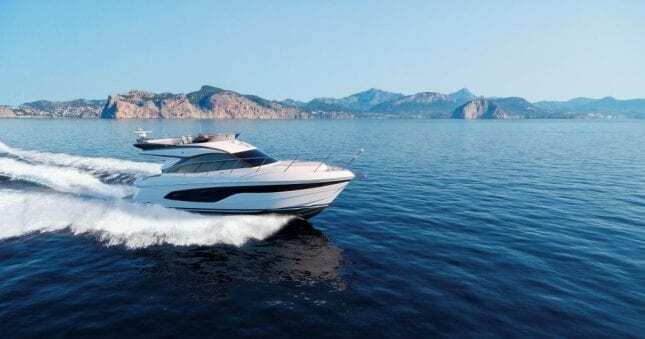 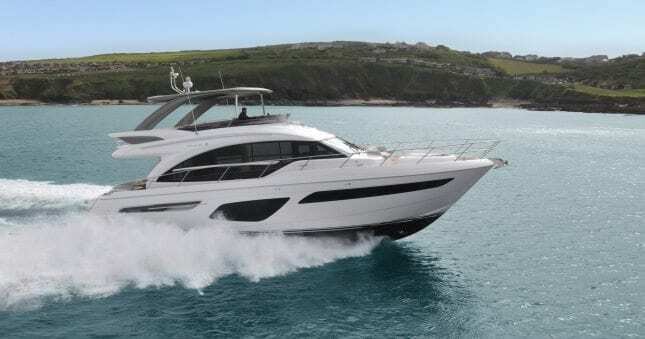 The model was launched at the London Boat Show following the appointment of John Bennett, who designed two new models, including the Princess 37 to compliment the Princess 32.